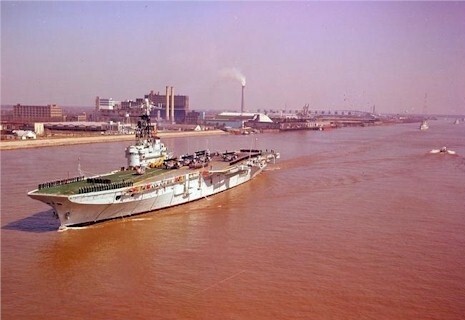 Built by Harland & Wolff Ltd., Belfast, Ireland, she was originally laid down as HMS Powerful. 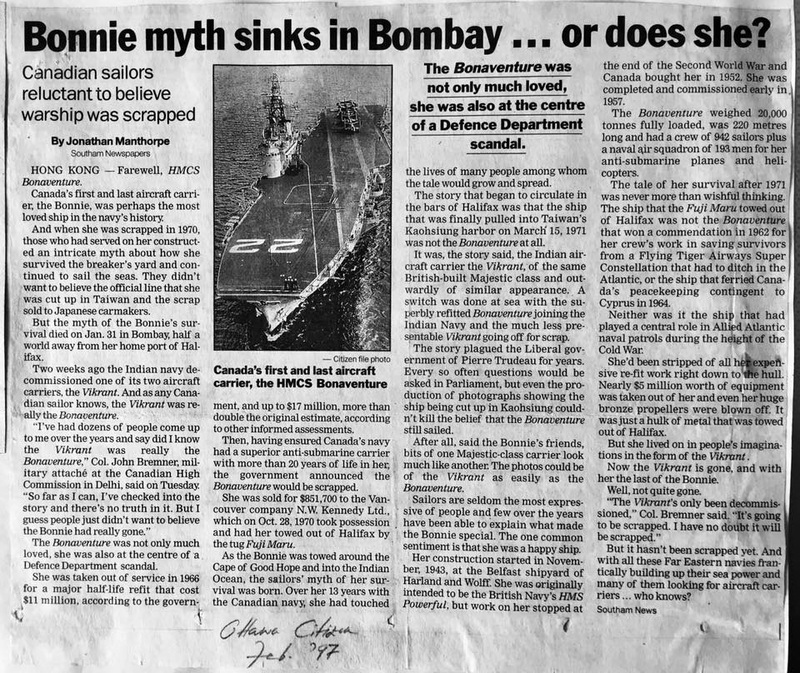 Construction on her had been suspended in 1946, but was restarted on 15 Jul 1952 and she was renamed HMCS Bonaventure after the bird sanctuary in the Gulf of St. Lawrence. 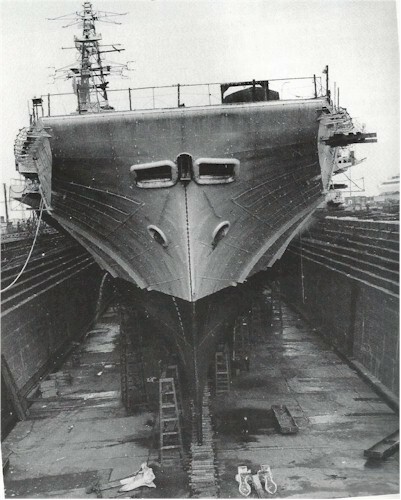 Work on this ship had stopped three months after her launching in Feb 1945, with the result that when construction resumed in 1952, improvements could be built into her. 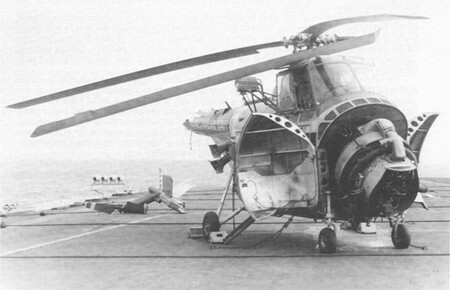 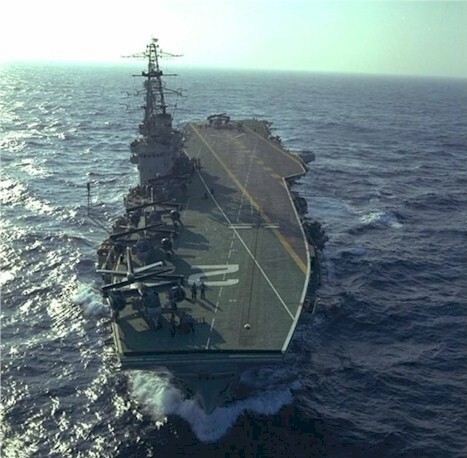 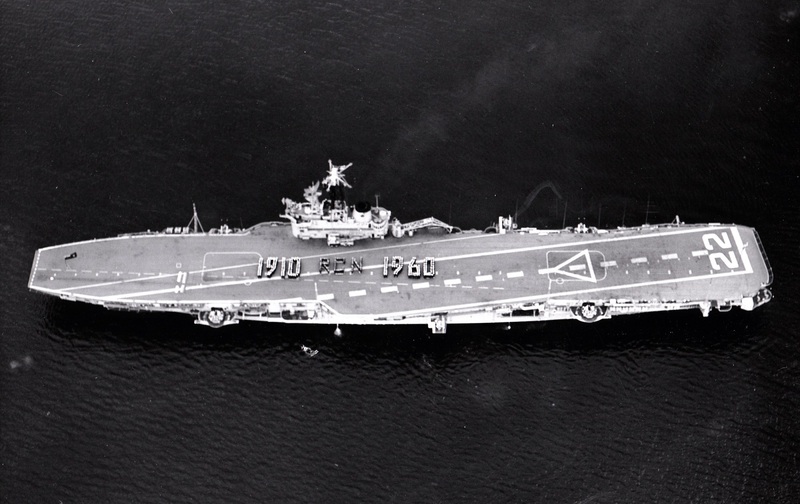 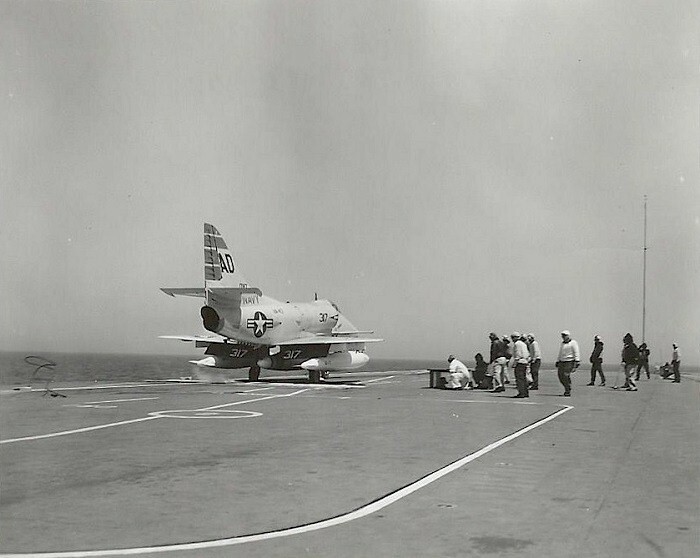 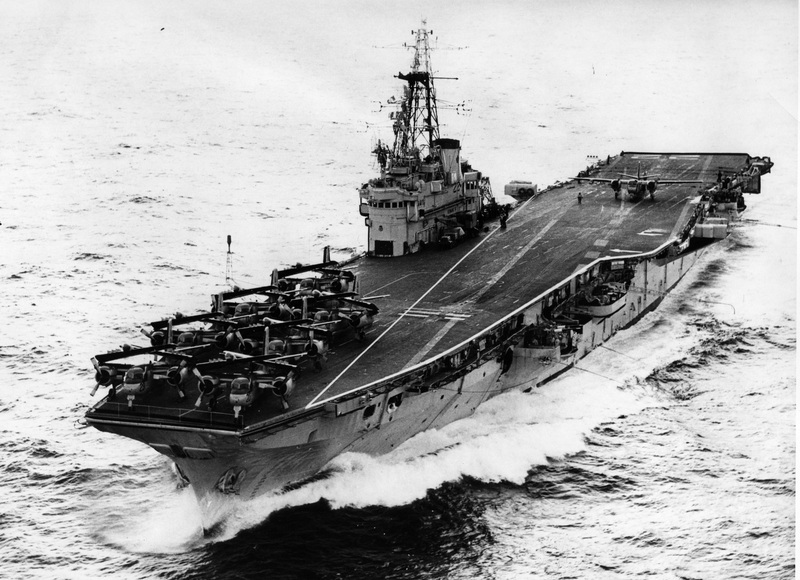 The most notable of these was the angled flight deck, which provided a longer landing run without sacrificing forward parking space, and permitted the removal of the unpopular crash barrier. 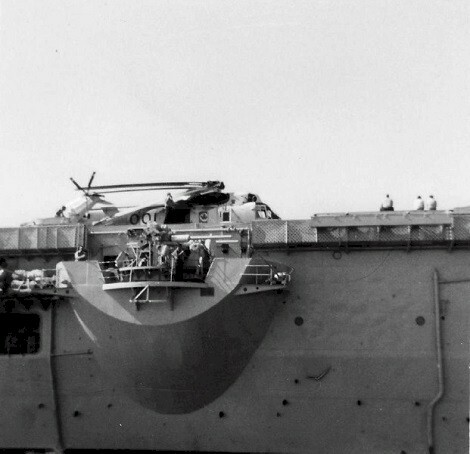 Also noteworthy were a steam catapult and a mirror landing sight, the latter going far toward eliminating human error in landing. 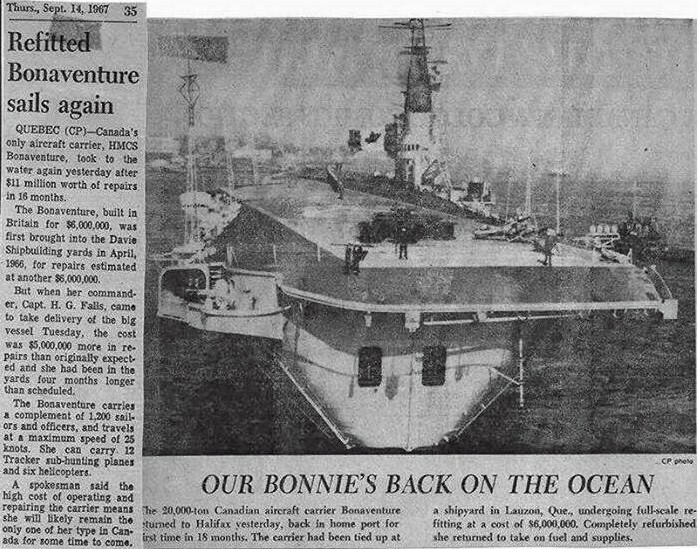 "Bonnie" was commissioned at Belfast on 17 Jan 1957, and arrived at Halifax on 26 Jun 1957, carrying on deck an experimental hydrofoil craft that was to serve in the development of HMCS Bras d'Or. 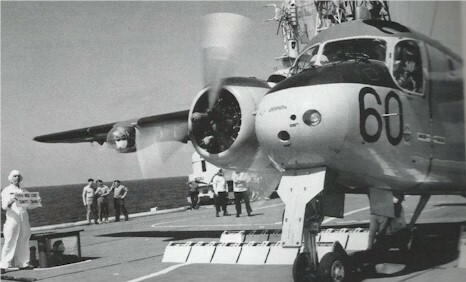 Unlike her predecessors, Bonaventure had Banshee jet fighters and Tracker A/S aircraft as her complement. 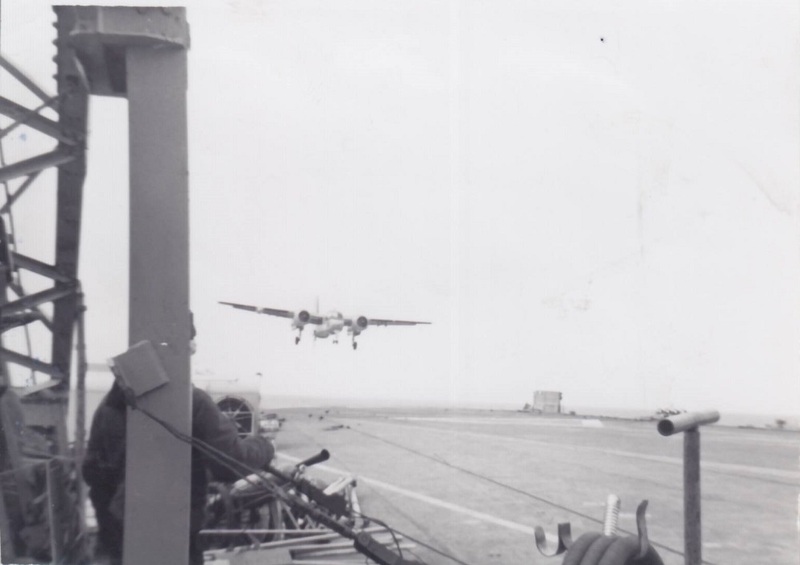 Like them, she enjoyed a busy career of flying training and participating in A/S and tactical exercises with ships of other NATO nations. 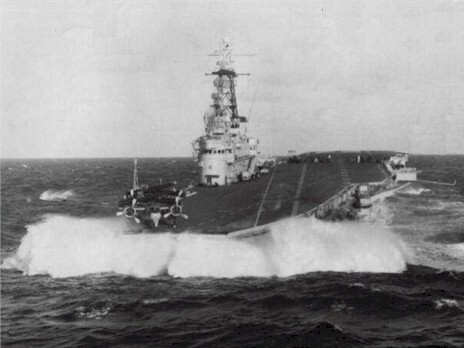 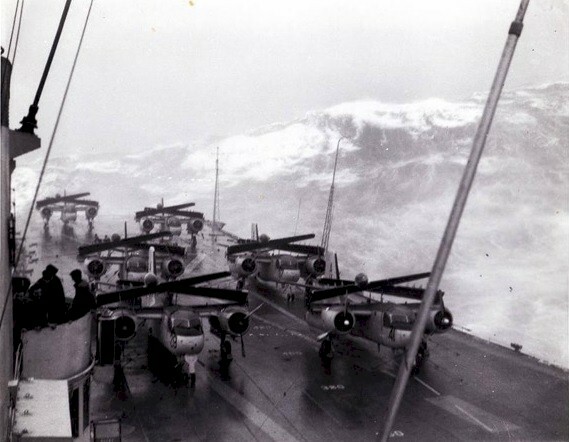 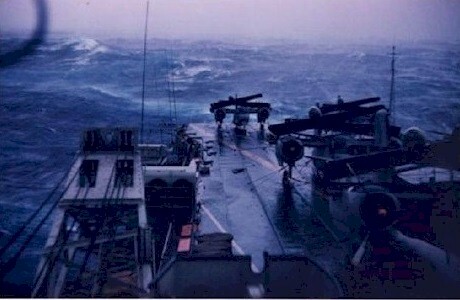 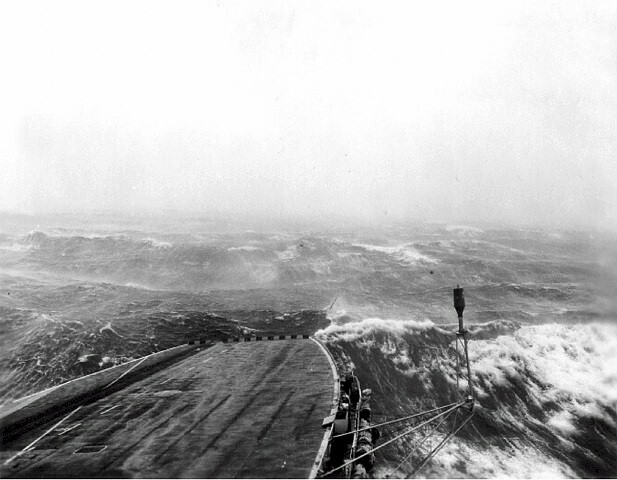 In Dec 1959, during a 6-week deployment that included a NATO Exercise, HMCS Bonaventure, in company with HMCS Algonquin, HMCS Iroquois, HMCS Sioux and, HMCS Athabaskan encounter a major storm that battered the squadron. 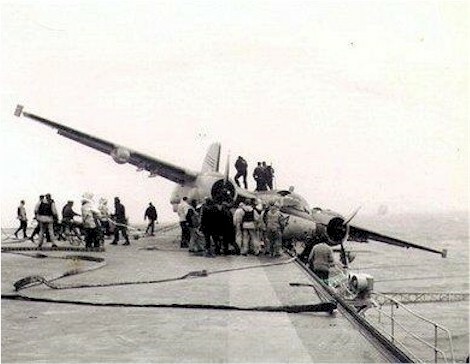 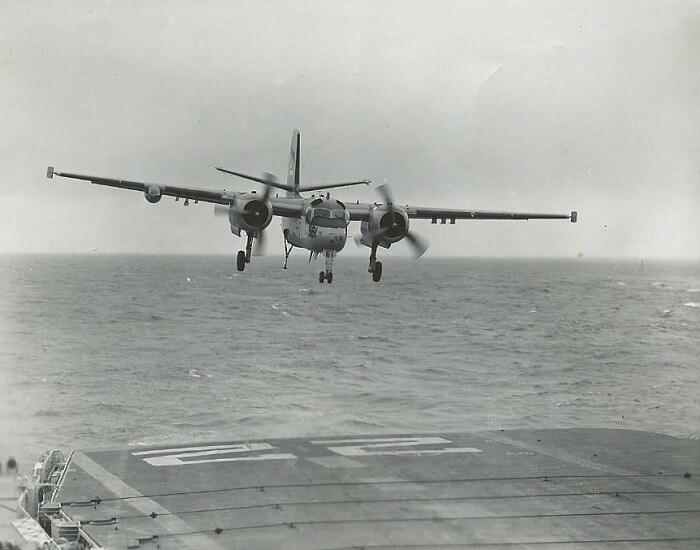 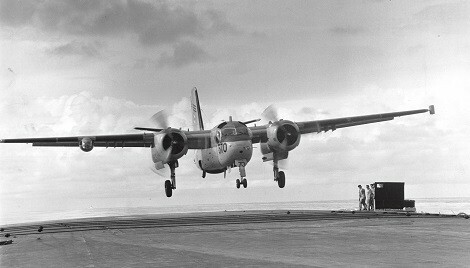 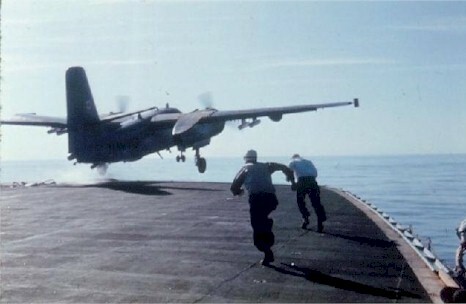 On their return, one day out of Halifax, a tracker crashed into the sea shortly after take-off with a loss of all 4 crew. 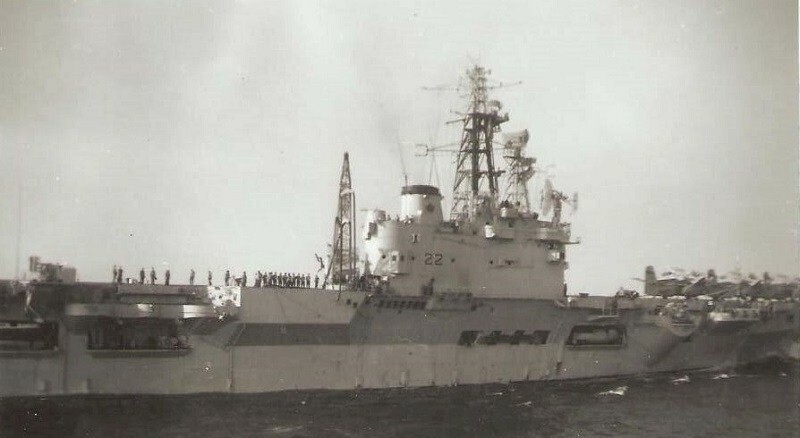 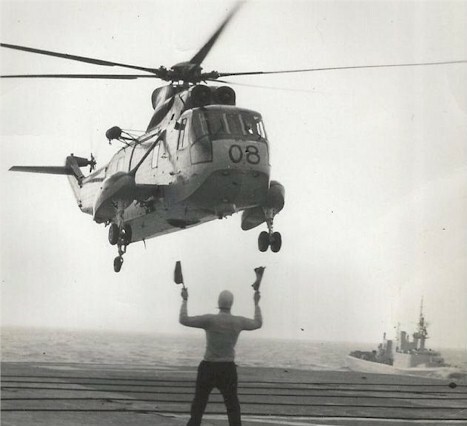 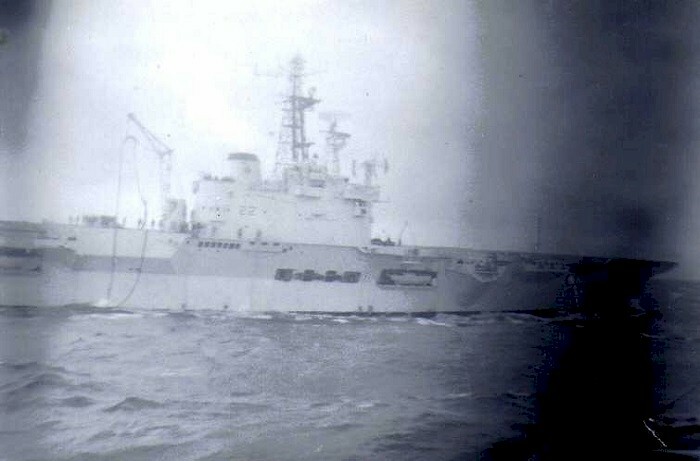 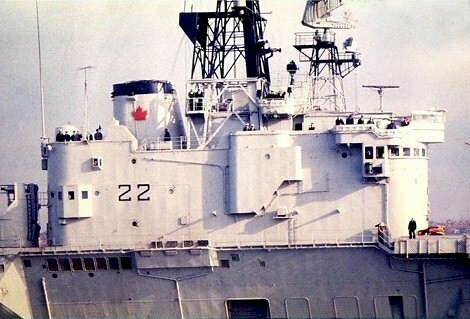 In the summer of 1963, while exercising in the North Atlantic, HMCS Bonaventure was conducting a RAS with HMCS Athabaskan 219. 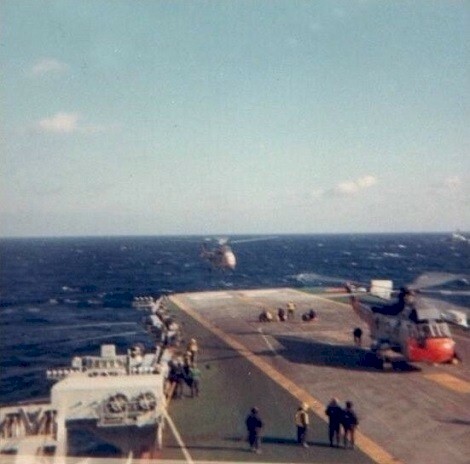 During the RAS, the two ships collided. 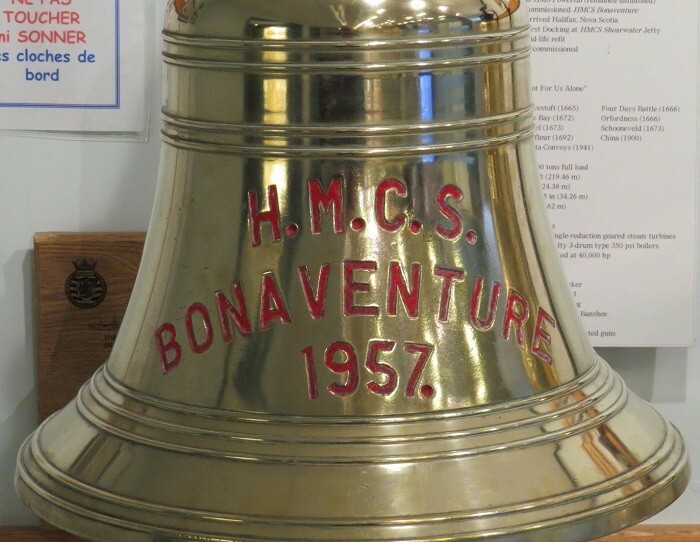 The Bonaventure, which suffered minor damage, proceeded to Invergordon, Scotland for repairs, while the Athabaskan, more seriously damaged, proceeded to the closest port, Belfast, Northern Ireland, for temporary repairs. 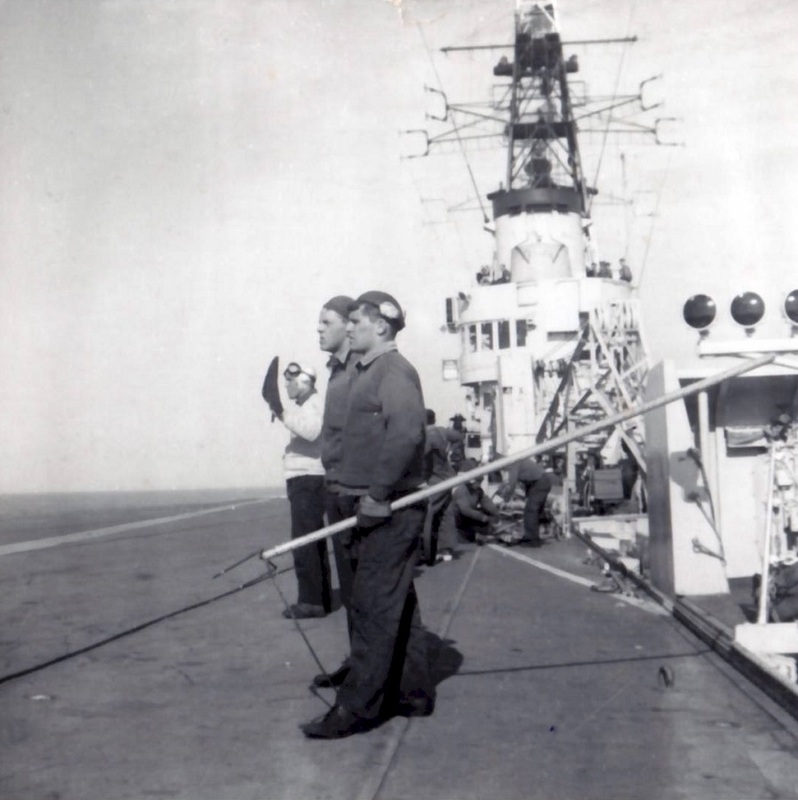 In Oct 1963, Bonaventure, Algonquin, Cayuga, Micmac and Saskatchewan took part in a NATO exercise in which all participating ships were battered by a severe North Atlantic storm. 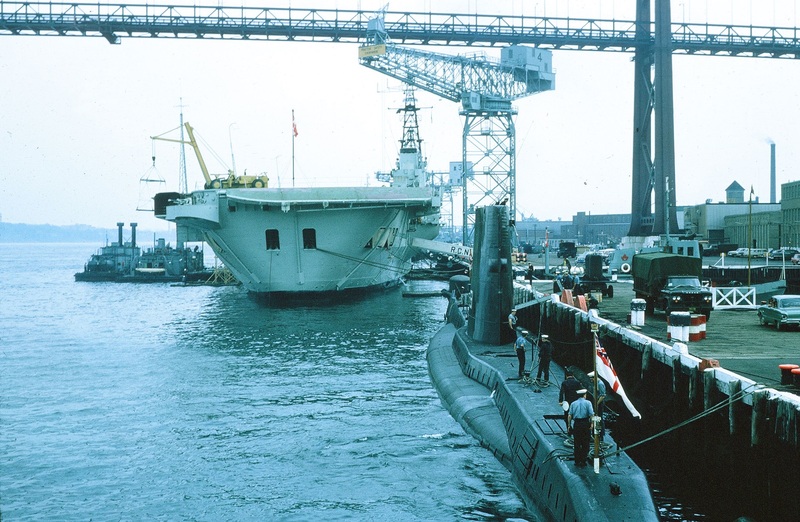 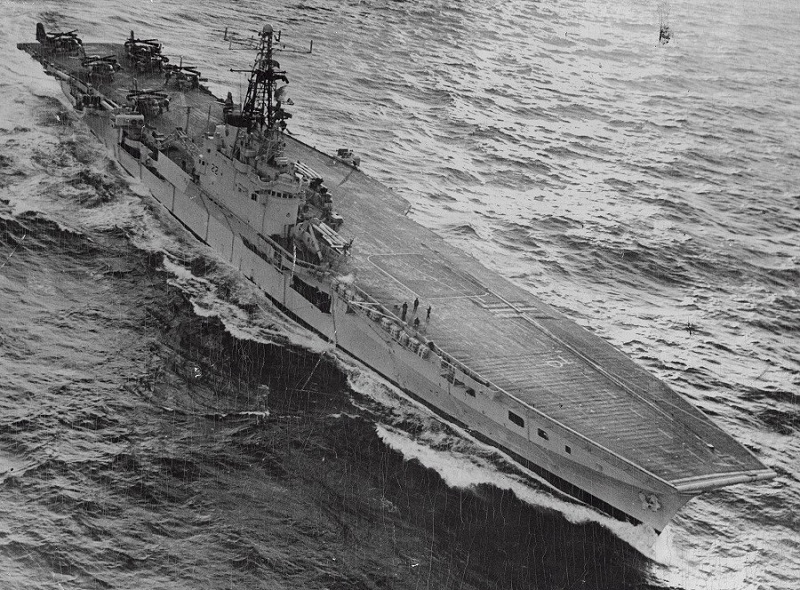 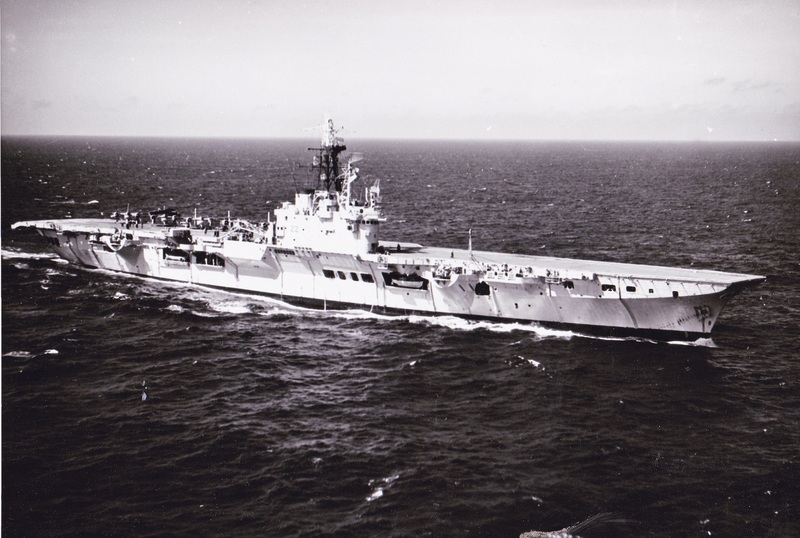 What was expected to be her mid-life-refit, carried out from 1966 to 1967, took 16 months and cost over 11 million. 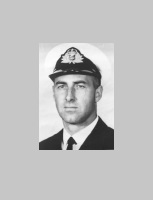 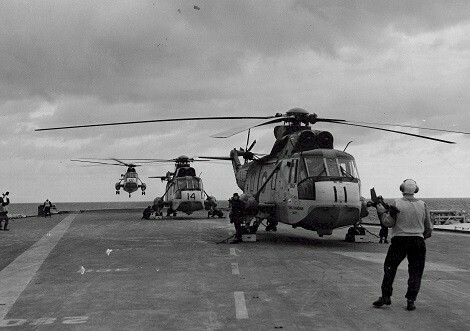 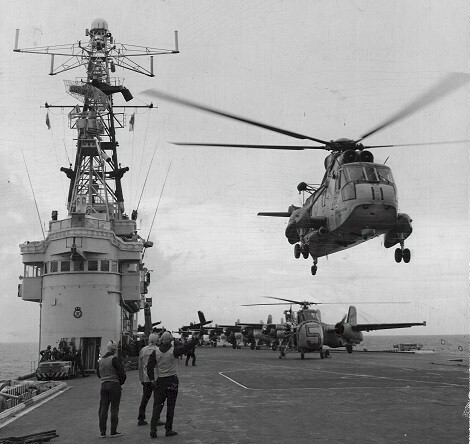 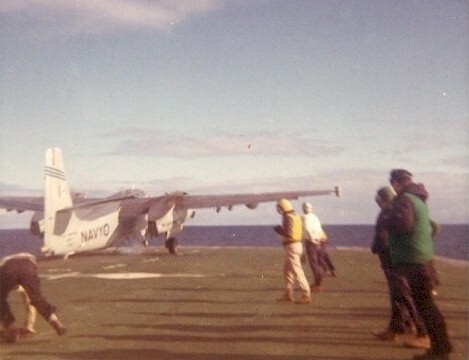 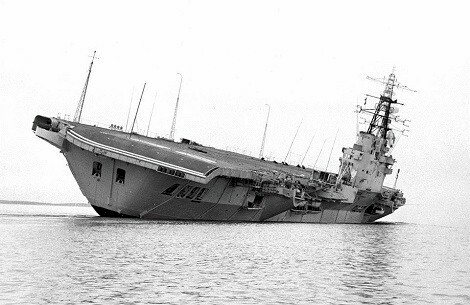 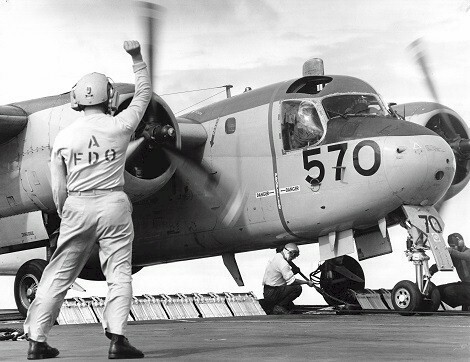 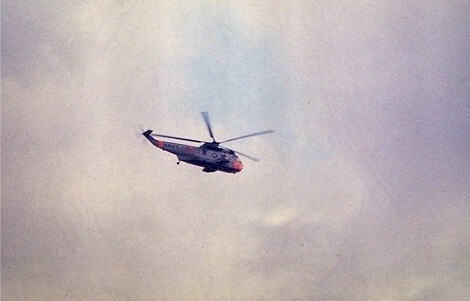 On 01 Dec 1967, while operating in the North Atlantic, Sea King 4002 off HMCS Bonaventure, crashed into the Atlantic. 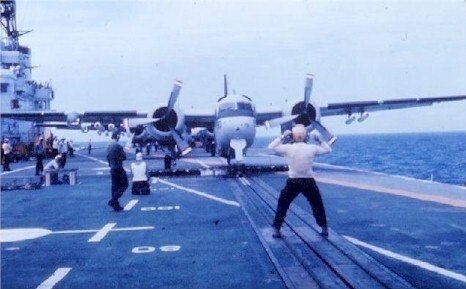 While the two pilots were ejected on impact and survived, 2 air crew died. 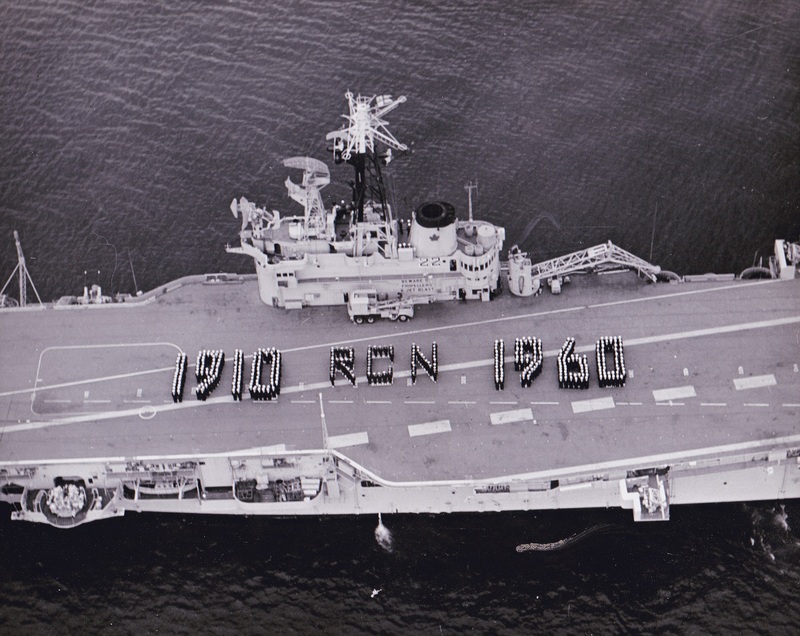 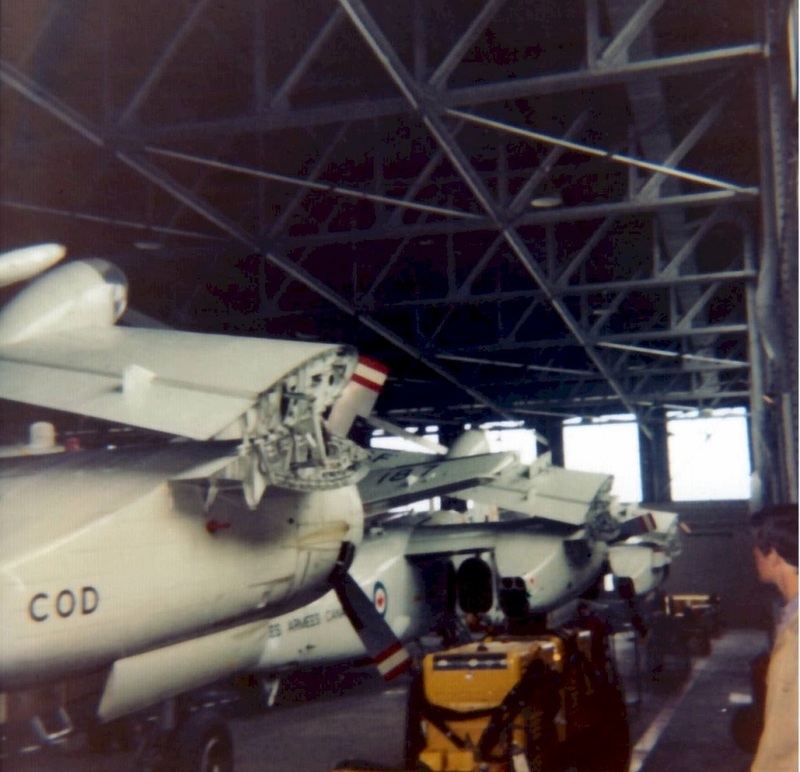 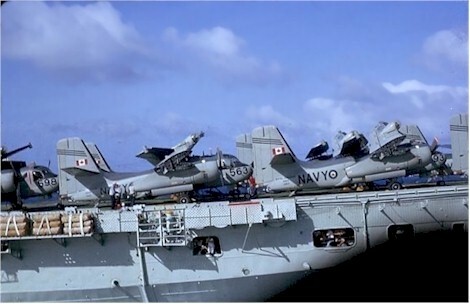 On 03 Dec 1969, during the ship’s decommissioning cruise, the aviation fuel tanks (AVGAS) on HMCS Bonaventure were required to be emptied and cleaned. 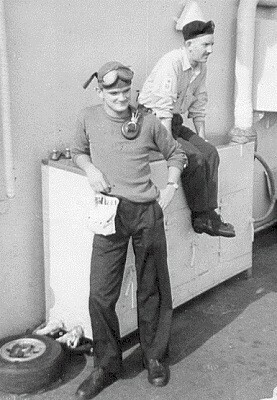 Tragically, one fuel tank did not vent properly, and the first two sailors who entered the fuel tank were overcome by deadly fumes. A second pair of sailors lost their lives during the rescue attempt. 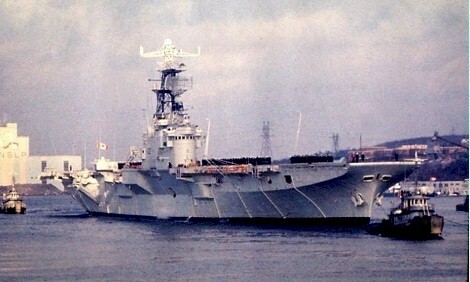 Only 3 years after her mid-life refit, she was incomprehensibly paid off on 01 July 1970, and sold for scrap.  Hard a Port .... 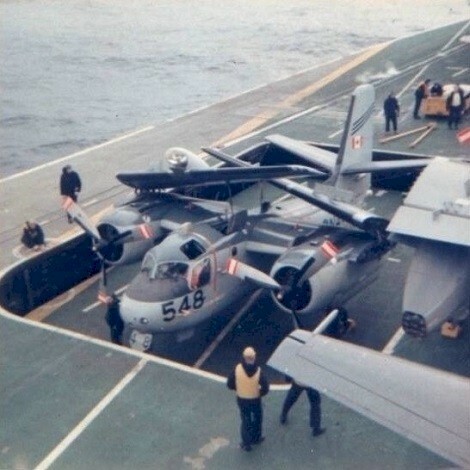 OUCH!!!! 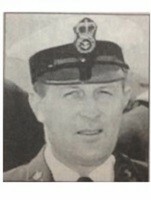 de Ste. 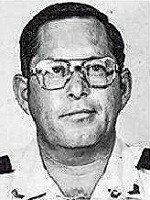 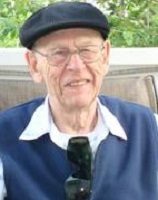 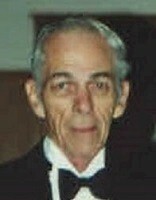 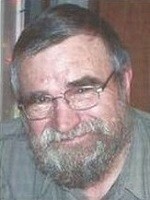 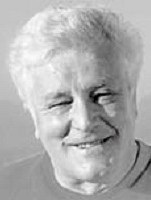 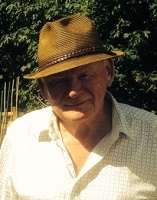 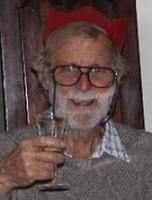 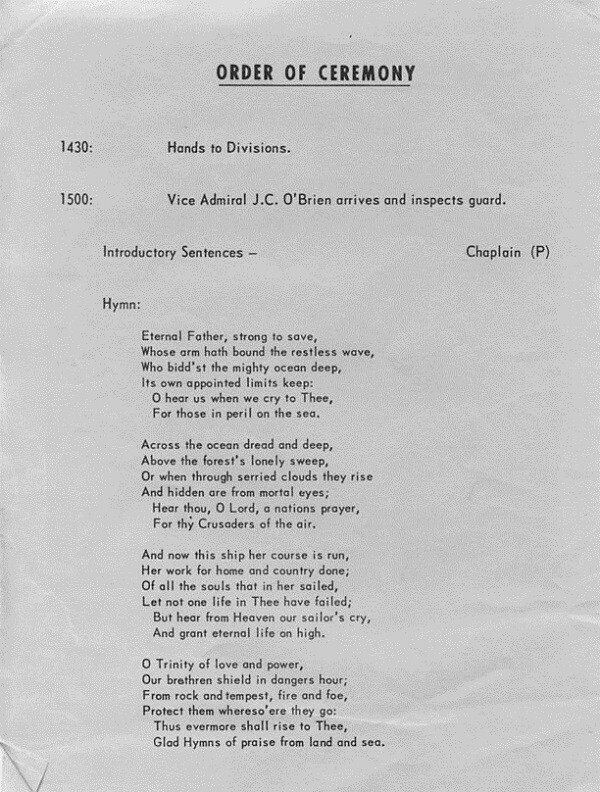 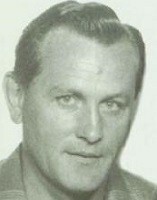 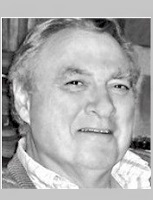 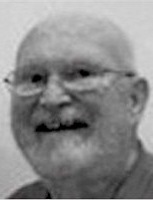 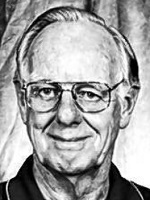 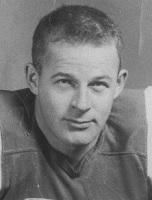 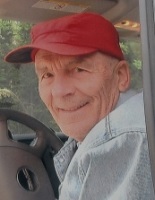 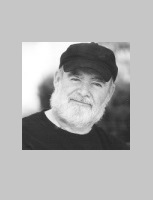 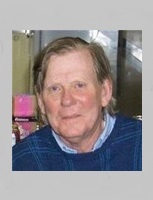 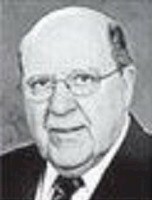 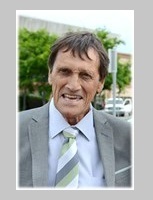 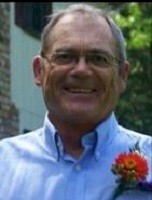 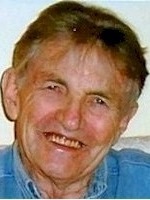 Croix, Dennis J. 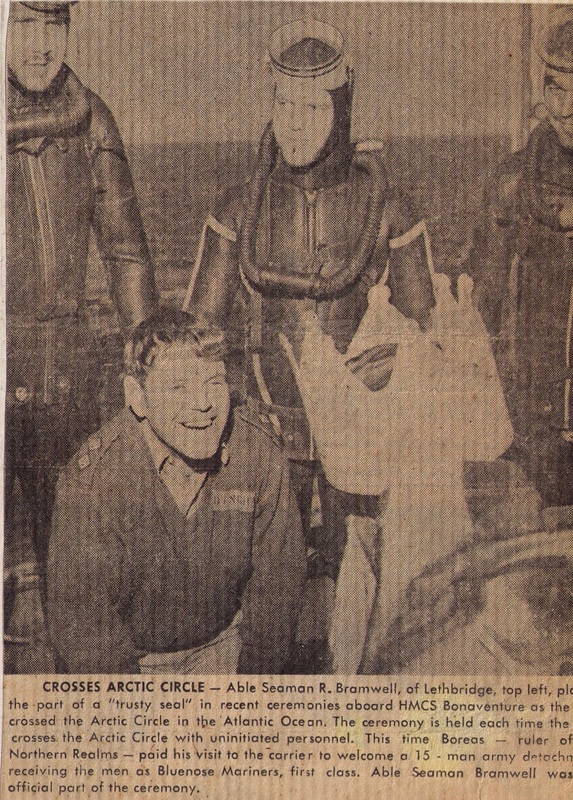 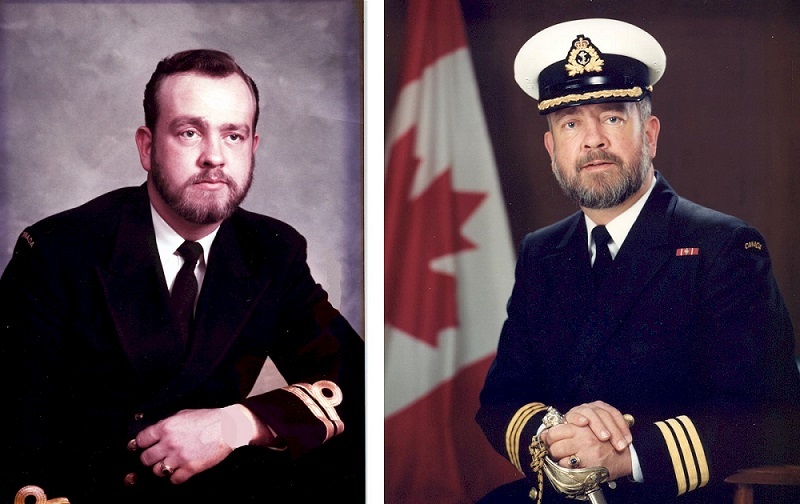 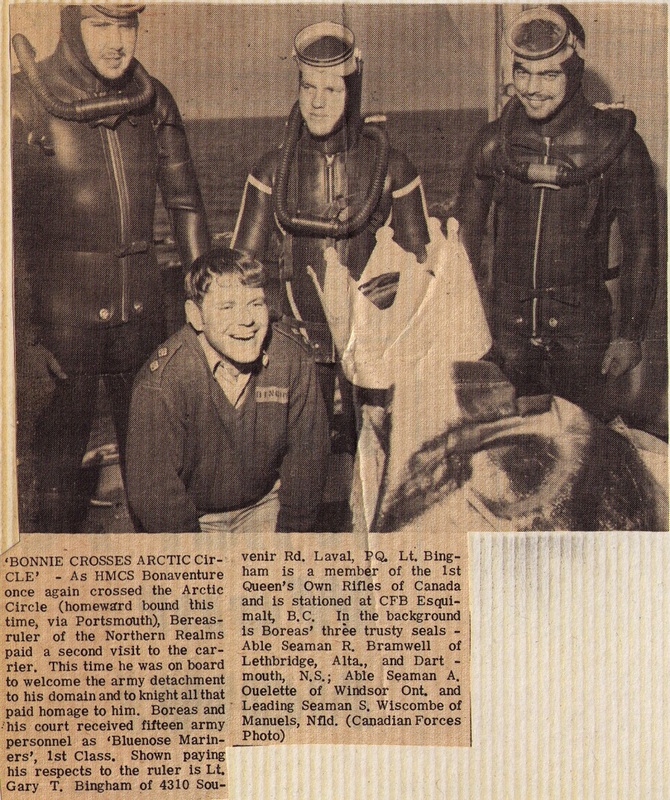 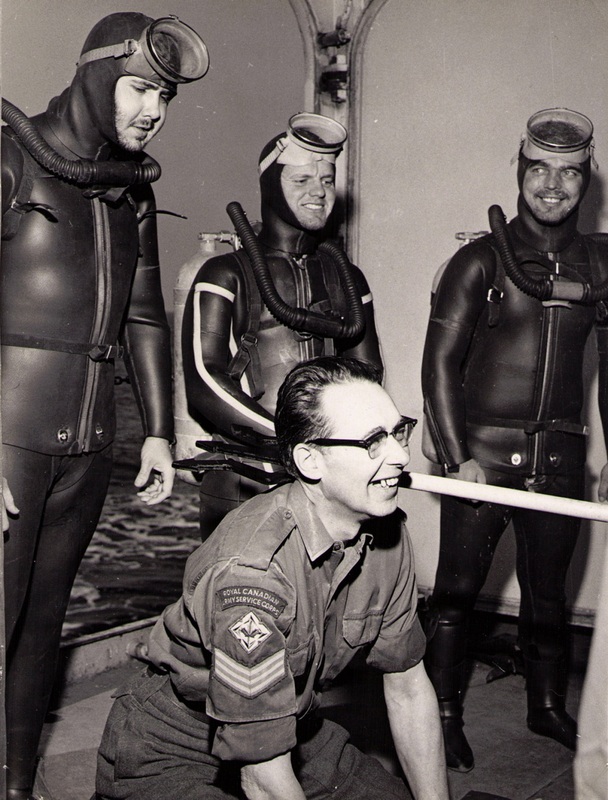 Sailors in photo: Lt (S) Young, of Halifax; PO Angus McLeod, of Port Arthur, ON; and AB Bill Smith of Toronto, ON. 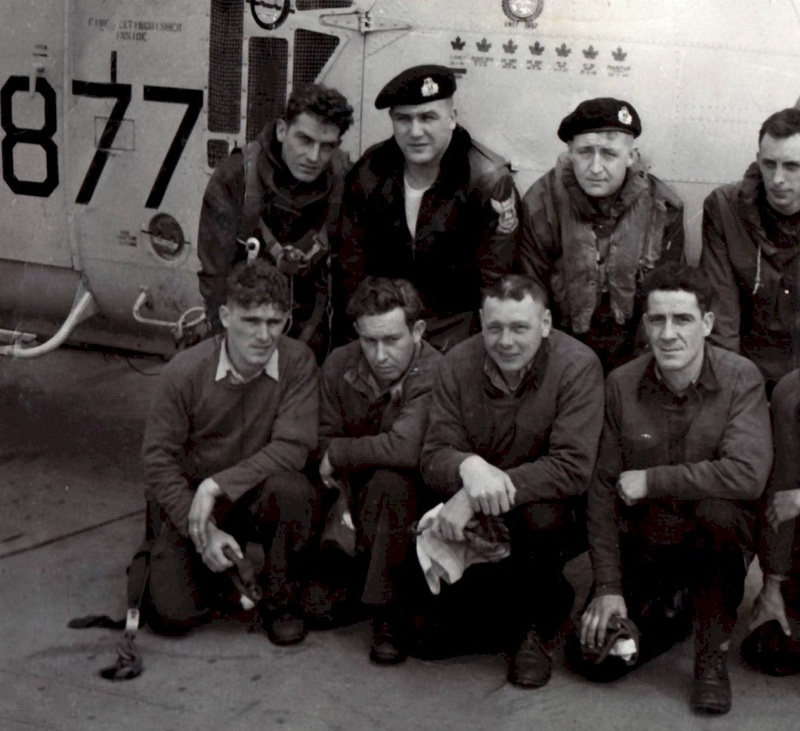 "I think the bonnie was coming to slackers in this pic from Belfast in 1957. 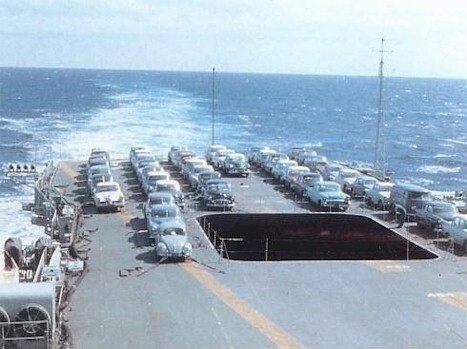 Note the newest car there is a 57 chev." 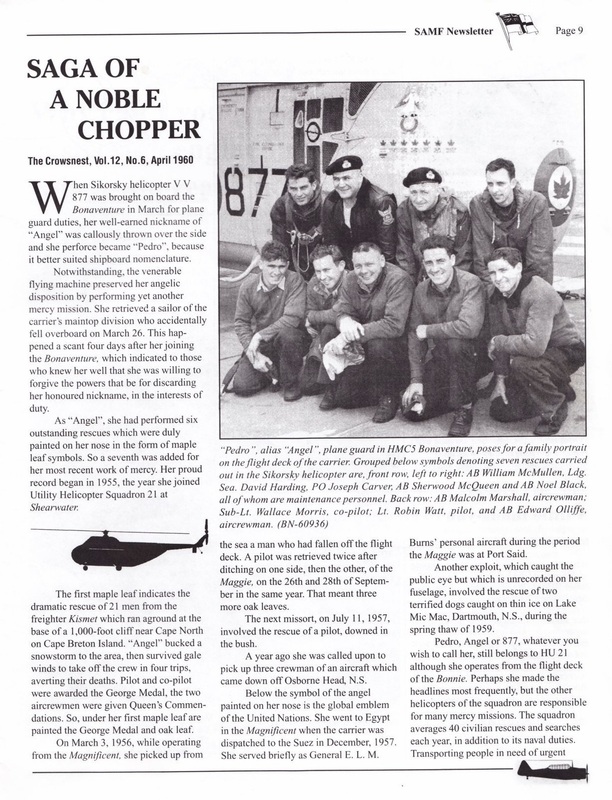 Article from the Trident magazine on "Angel" also known as "Pedro"
"Capt. 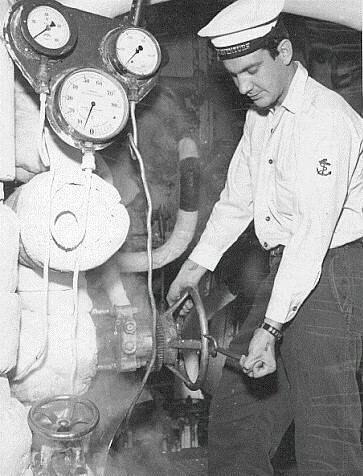 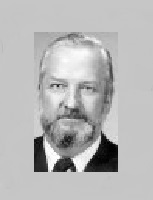 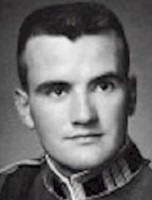 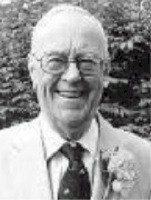 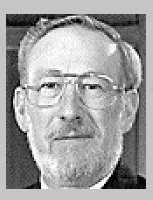 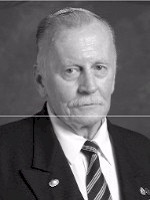 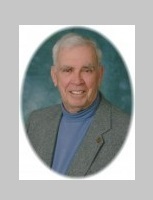 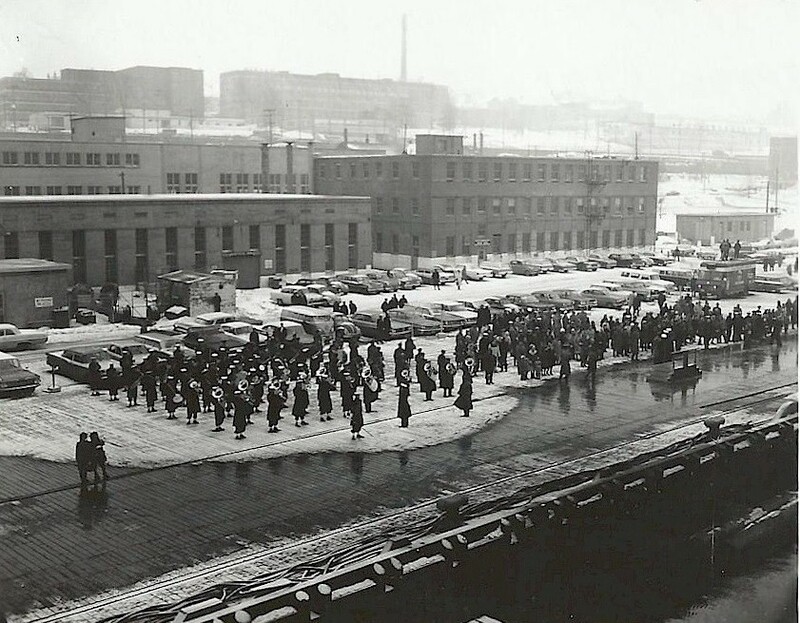 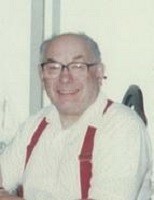 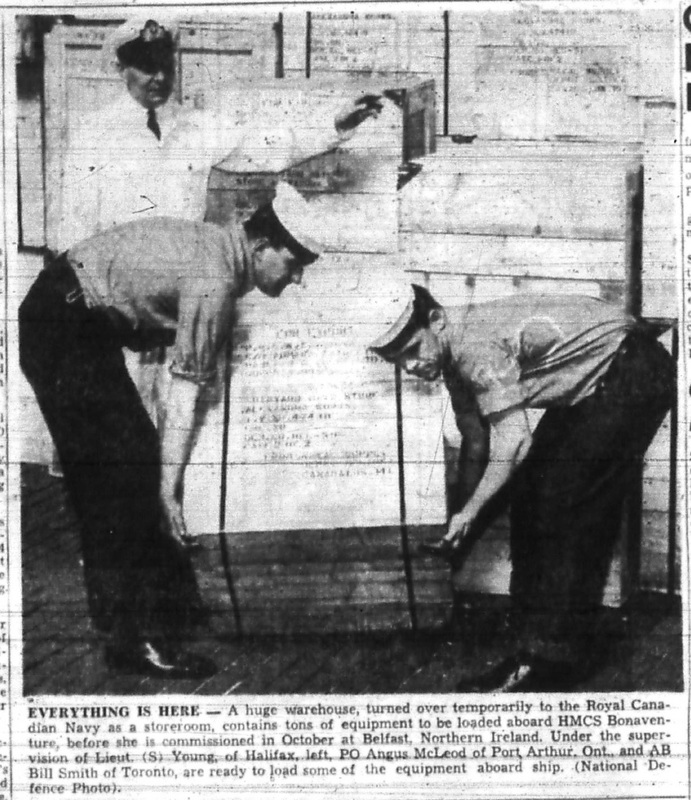 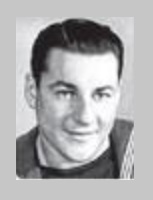 Fred Frewer inspecting Engineering Division I was an OSEM at time. 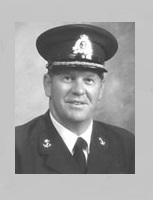 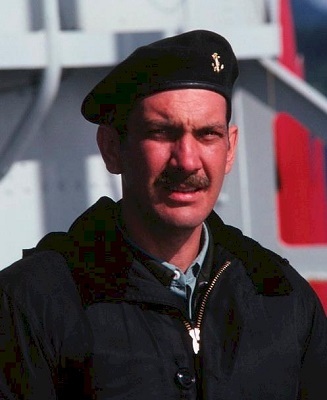 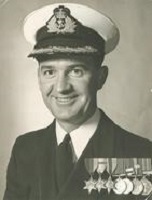 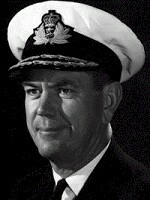 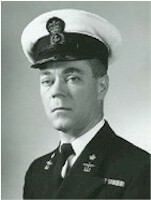 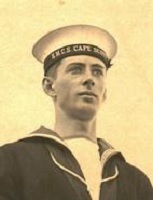 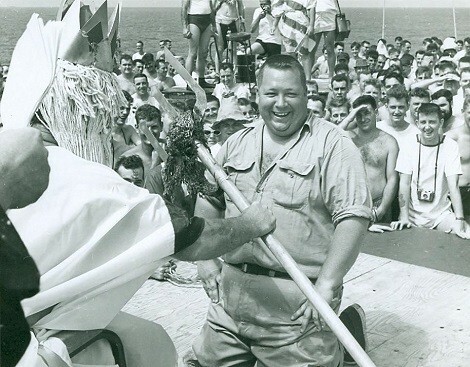 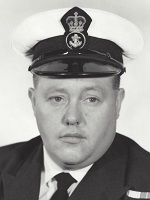 LSER Danny MacDonld is the sailor that Capt. 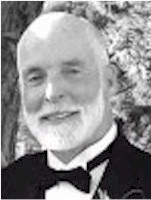 Frewer is speaking with." 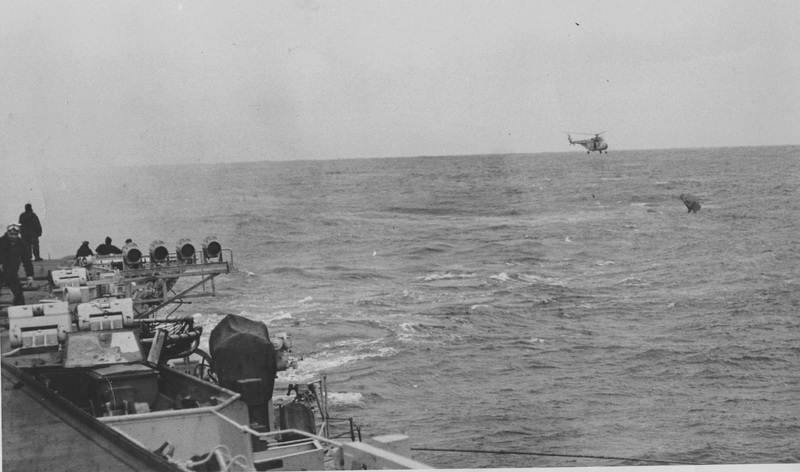 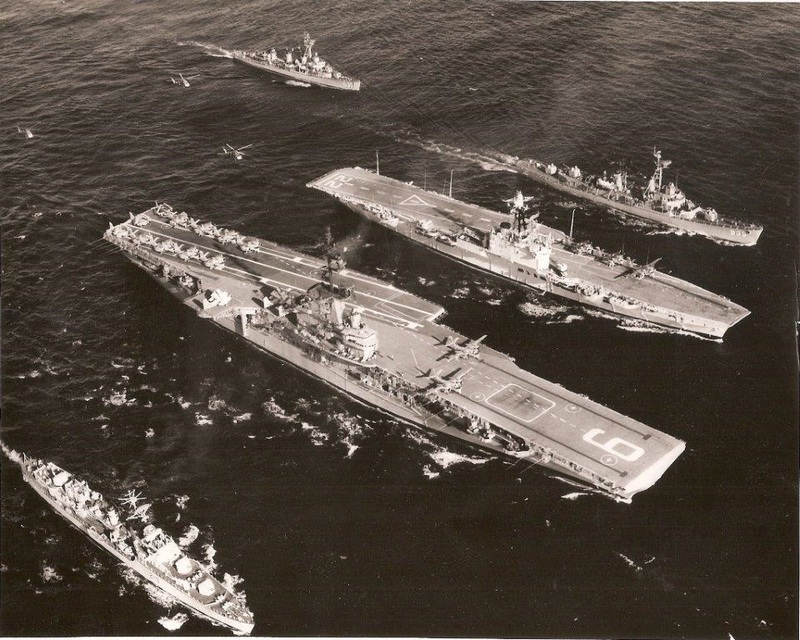 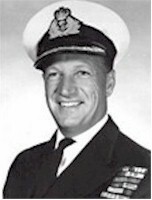 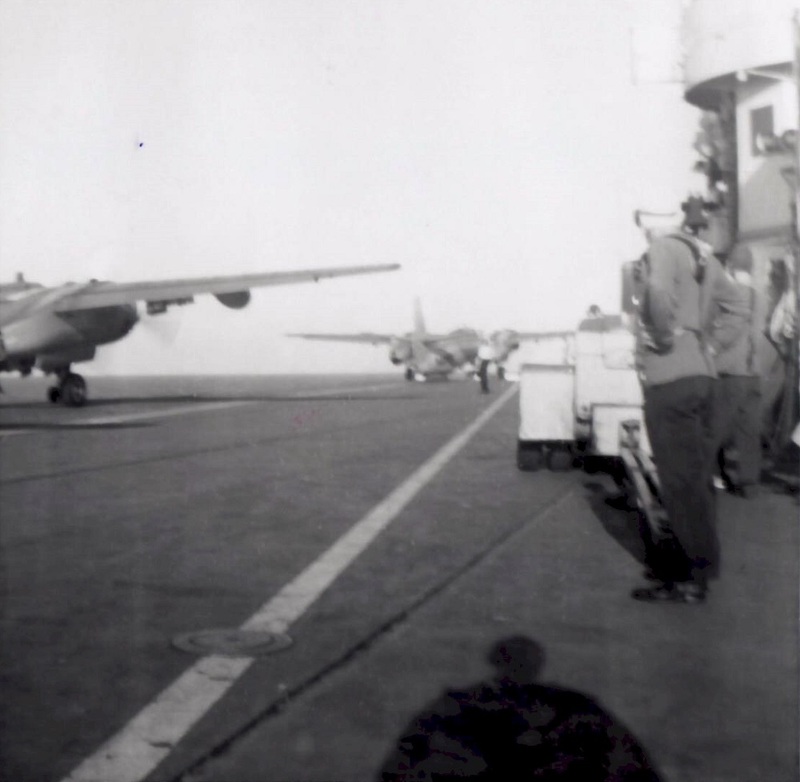 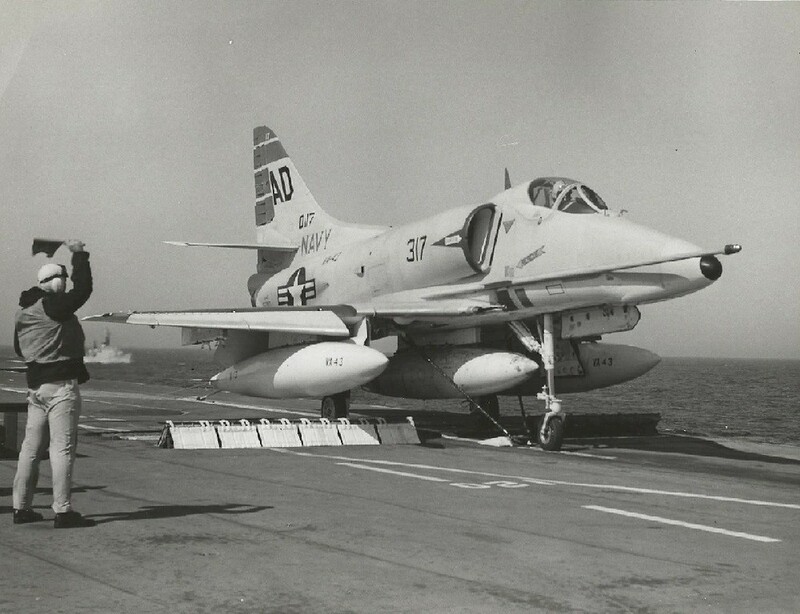 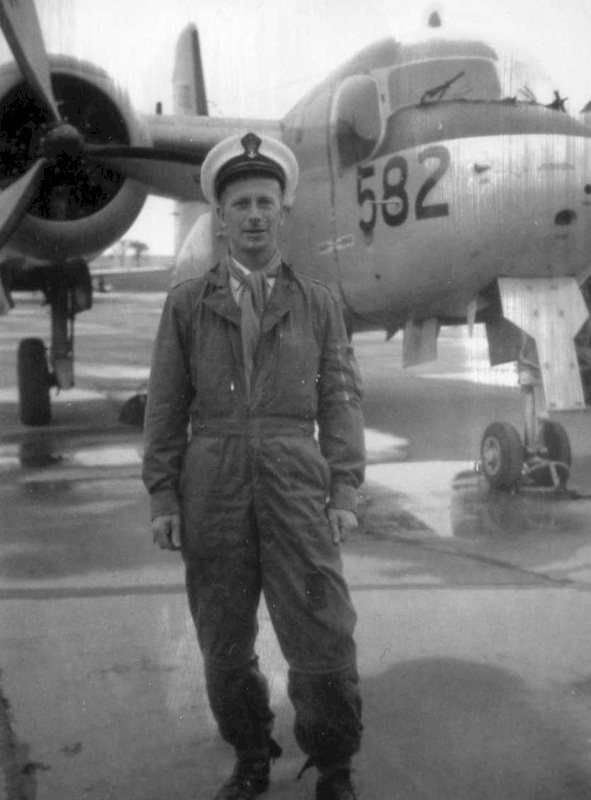 From Al Snowie's "The Bonnie" page 138 - Bonnie, Sioux and AthaB (Plane guard) joined Essex and 5 USN destroyers in June 1961 for an ASWEX against 2 USN submarines. 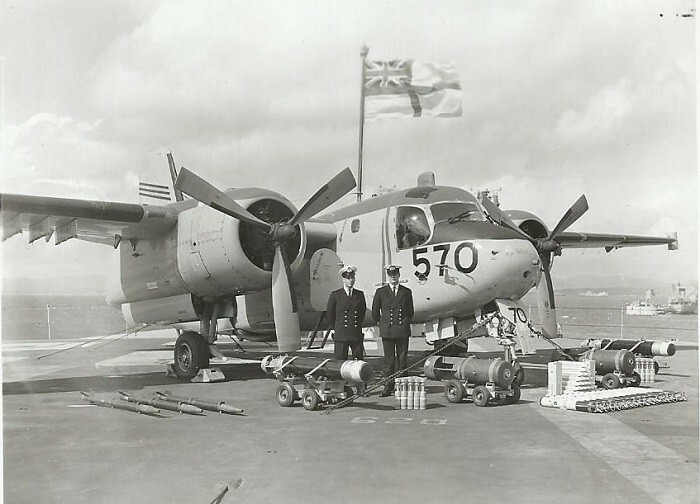 Bonnie's 12 Trackers flew as many hours as Essex's 36 Trackers! 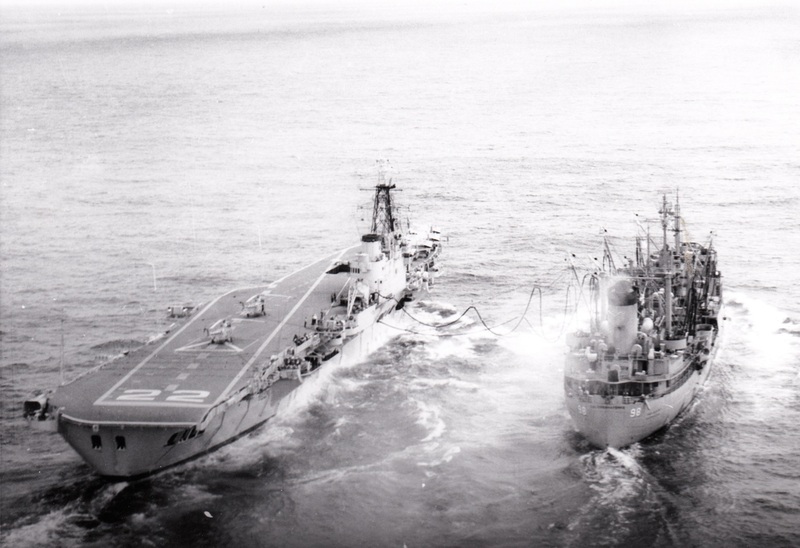 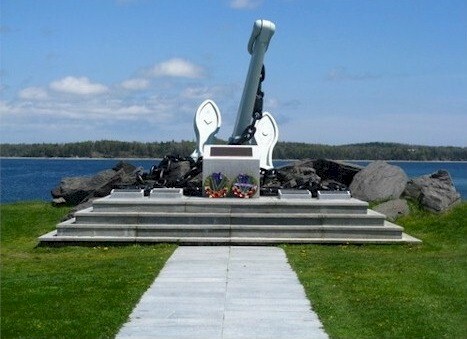 Following the collision, HMCS Bonaventure proceeded to Invergordon, Scotland to the former WW II Royal Naval Base and ship refueling facility. 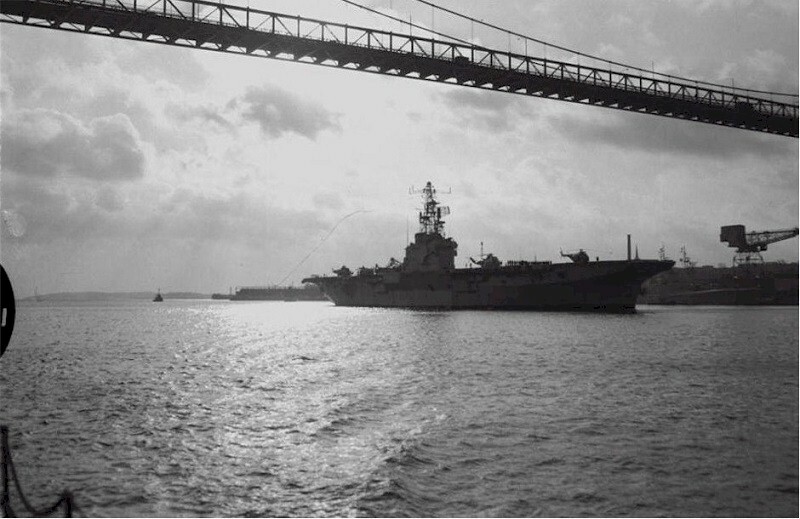 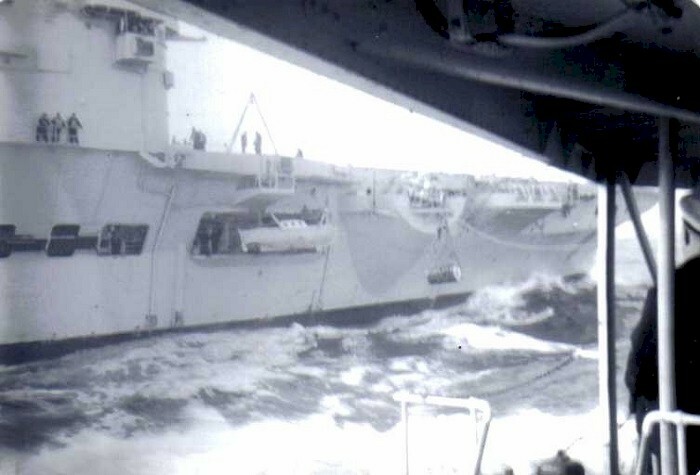 While damage to the Carrier's Hull was minimal, her fuel supply was below the accepted permissible level. 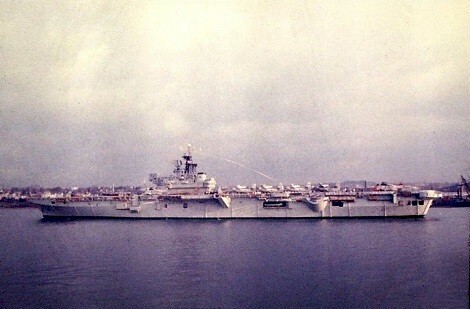 Invergordon, Scotland was the nearest docking facility capable of docking an air craft carrier. 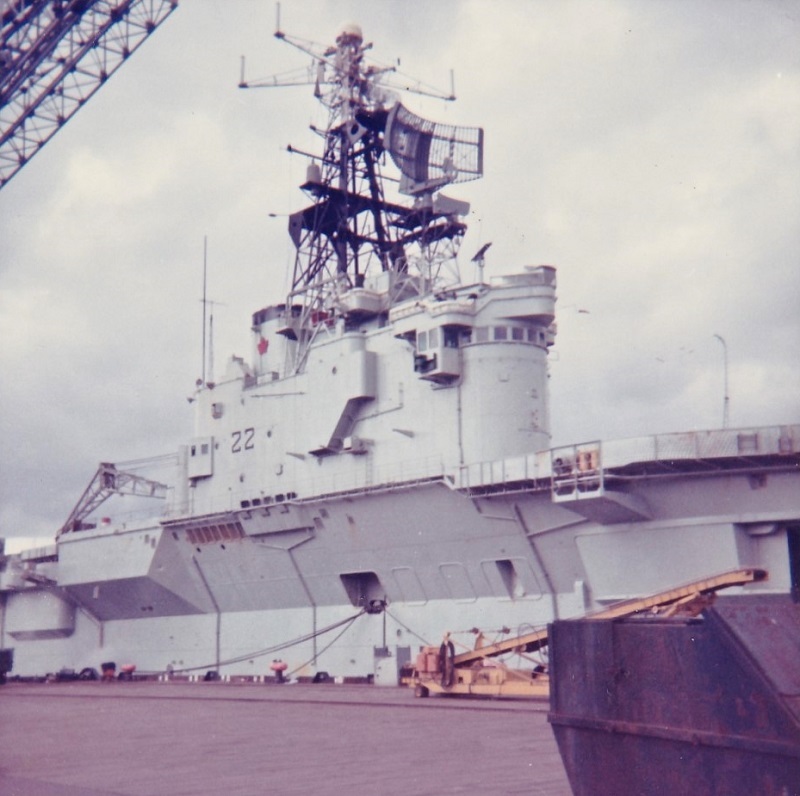 HMCS Athabaskan received considerably more damage to her super structure and commutation aerials than the "Bonnie". 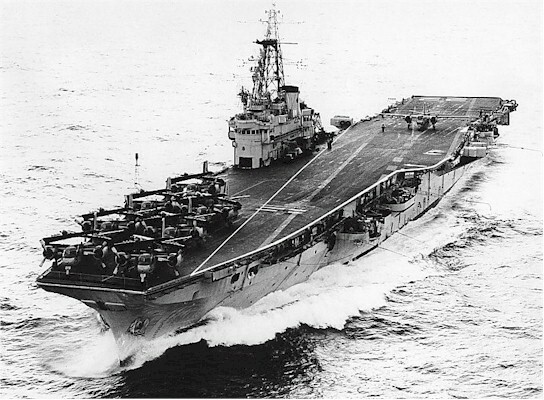 Without the required fuel she was to receive from the Carrier, Athabaskan had to make way to the nearest port which could facilitate her requirements. 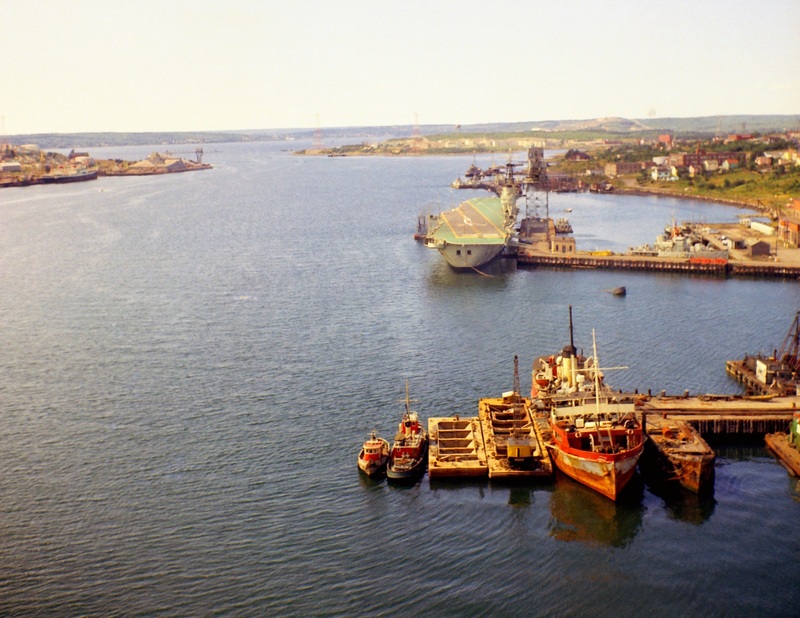 This port was the shipyards of Hartland and Wolff in Belfast - Northern Ireland. 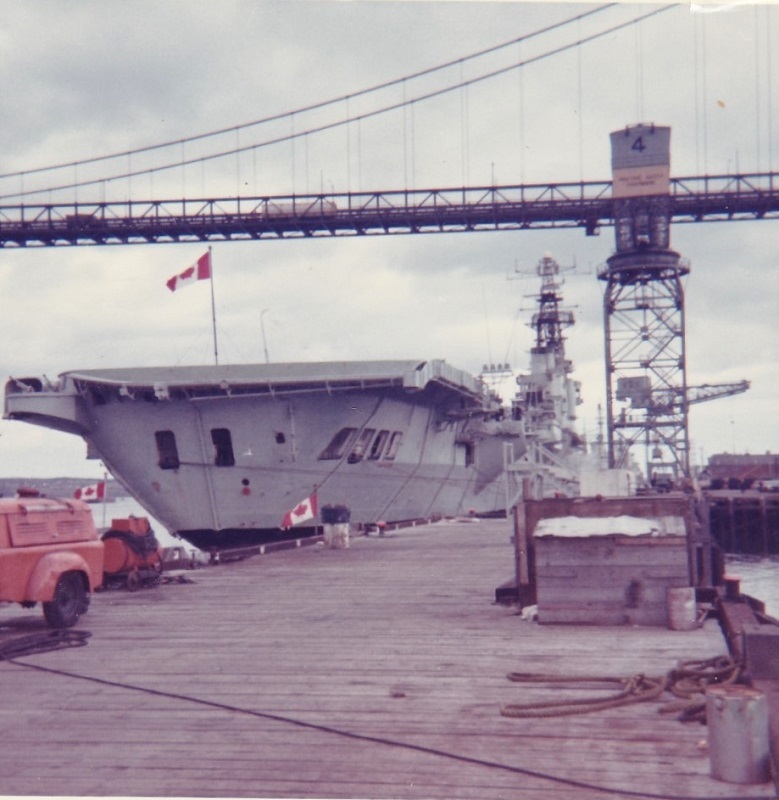 Having received temporary repairs, HMCS Athabaskan proceeded on her mission which was the overhaul of her radar system at Portsmouth England. 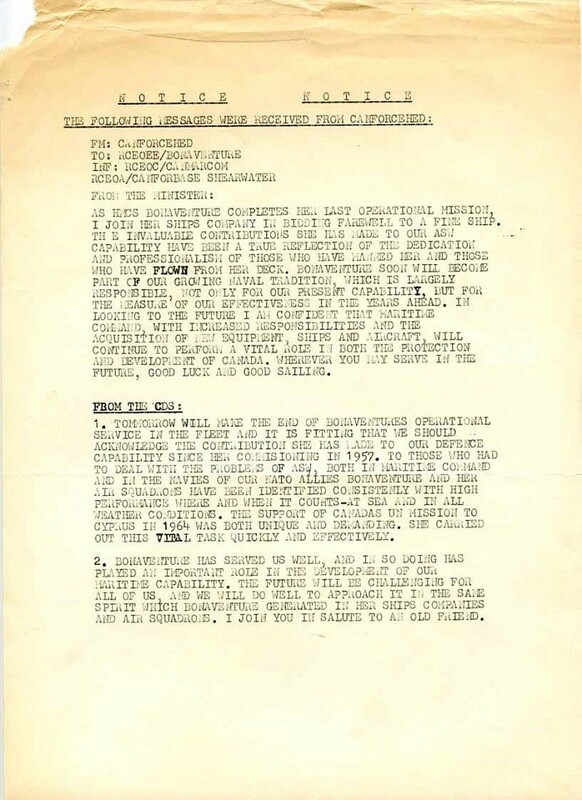 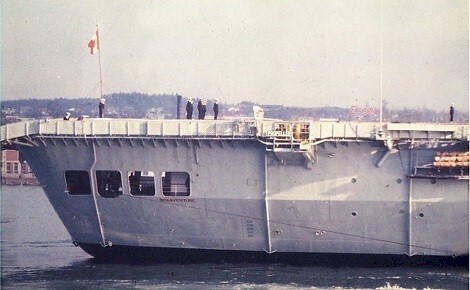 [A service not available in Canada] Permanent repairs necessitated by the collision with HMCS Bonaventure at sea, would now be carried out at Portsmouth. 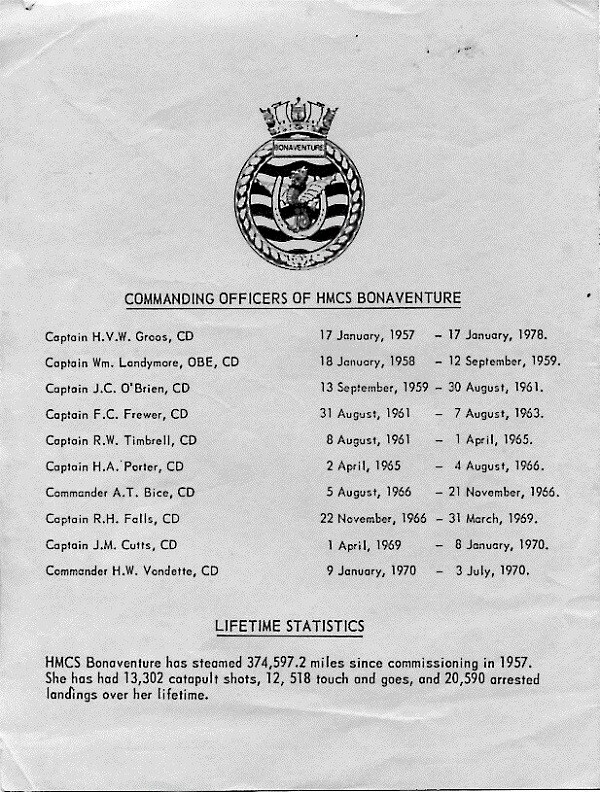 The following account of what happened has been taken from a book by J Alan Snowie published in 1967. 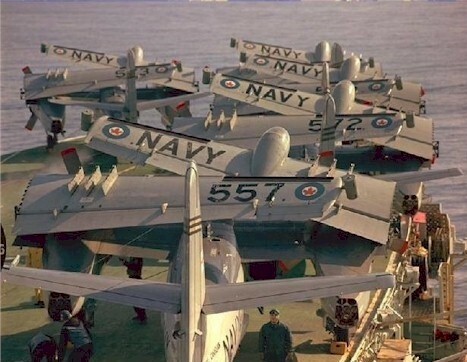 This account has now been included in an Internet history of Aircraft Carriers which formally served with the Royal Canadian Navy. 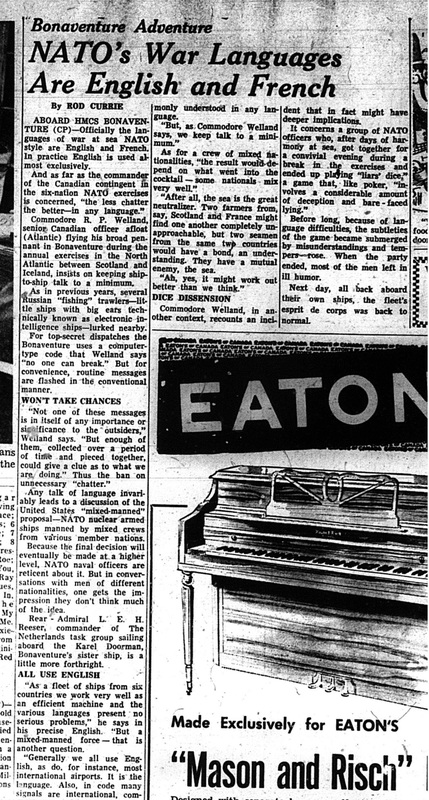 It would appear that the information contained there - in, was based on hearsay and the memories of others not acquainted with the facts. 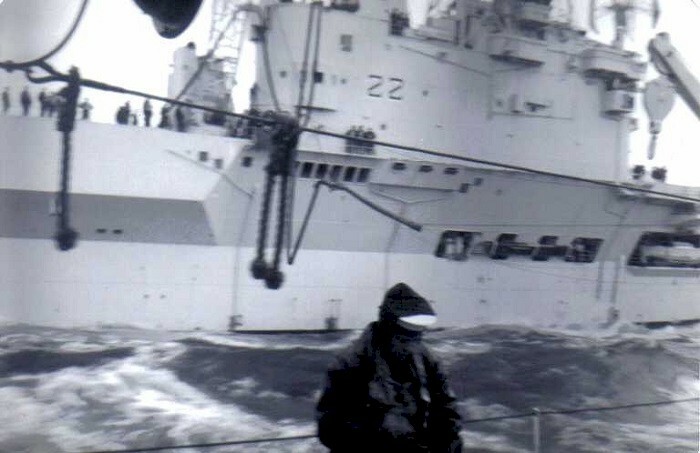 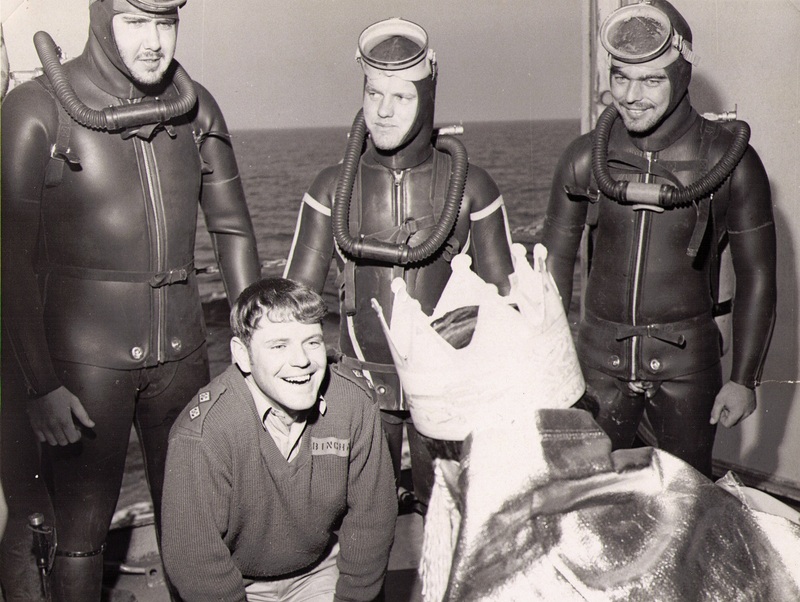 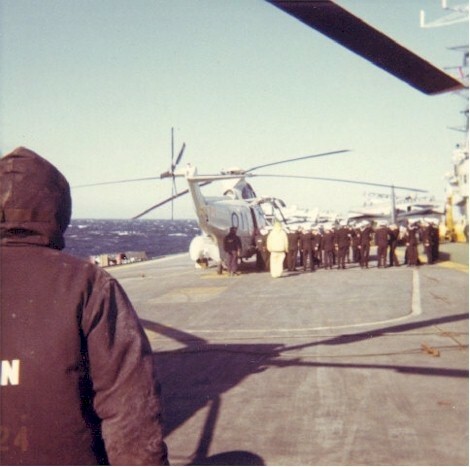 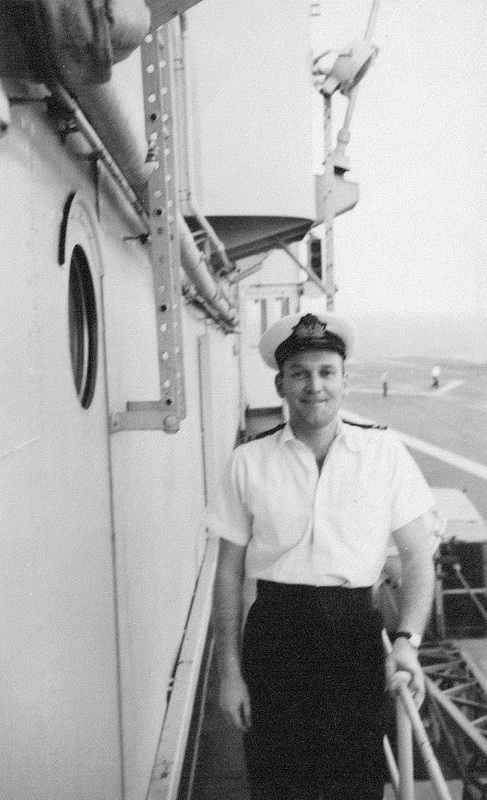 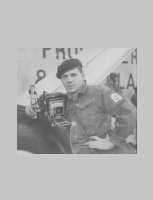 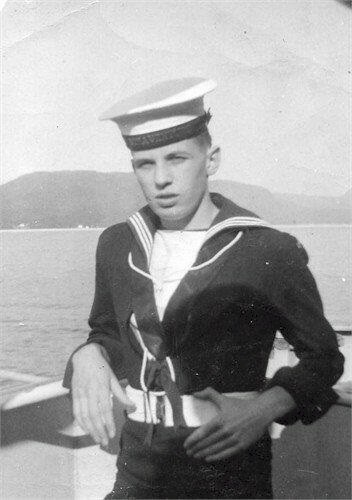 A close friend of yours truly [# 49753H] who also served with HMCS Cabot, was serving onboard HMCS Bonaventure at the time of the incident, and is one of the sailors seen standing on the deck of the Bonaventure in the photos. 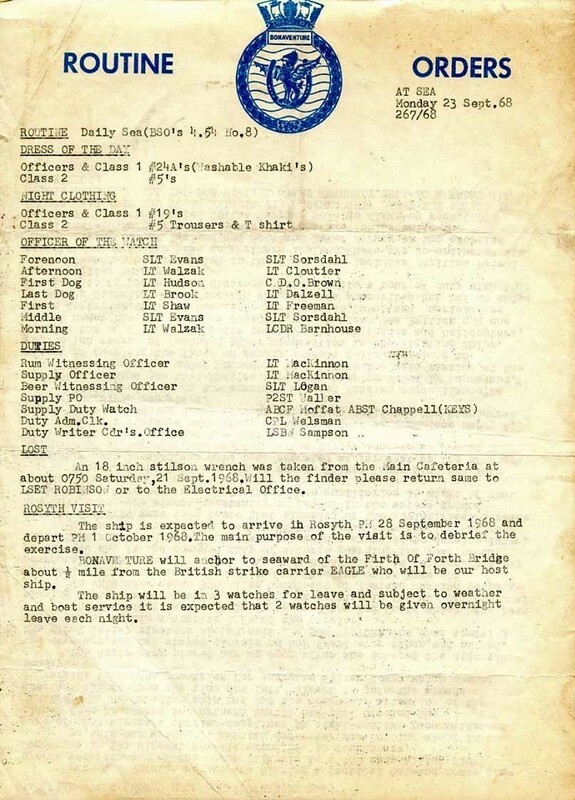 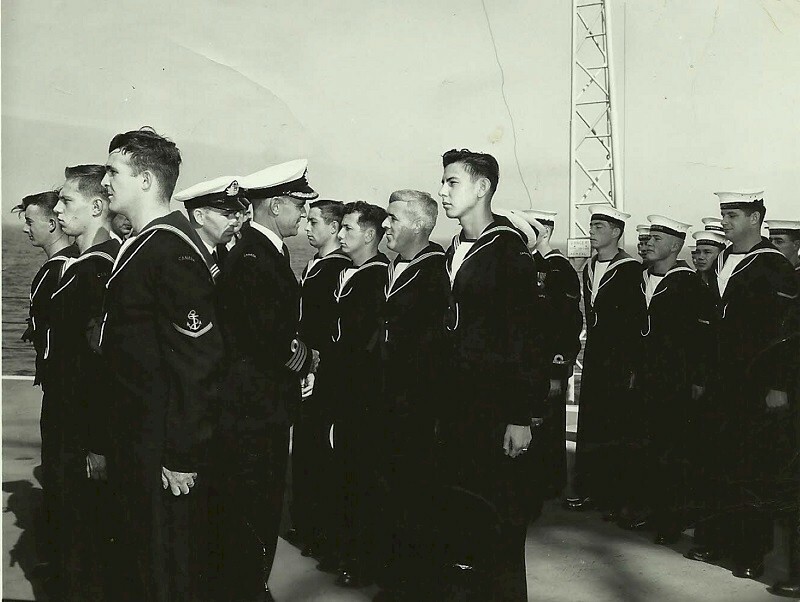 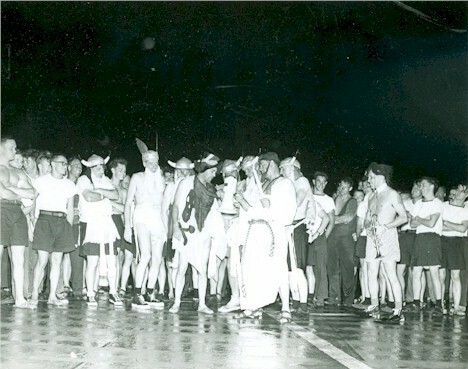 Sailors listed in the photo: AB Doug Harvey of Ottawa; AB Les Fraize of St. John's; AB Wayne Sarrel of Hamilton; AB Sal Sarino of Toronto; and AB Wayne Harmer of Niagara Falls. 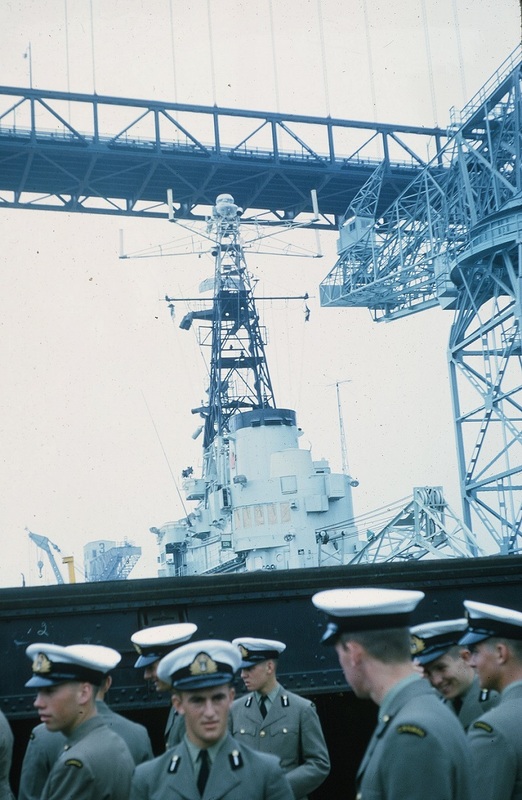 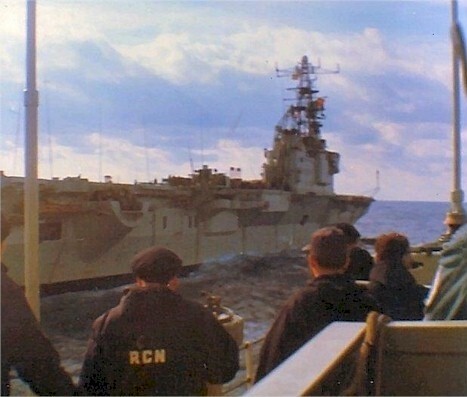 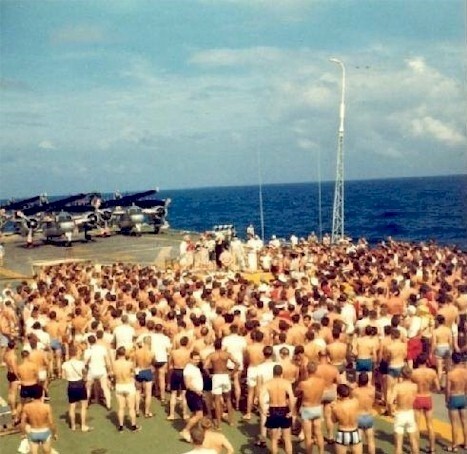 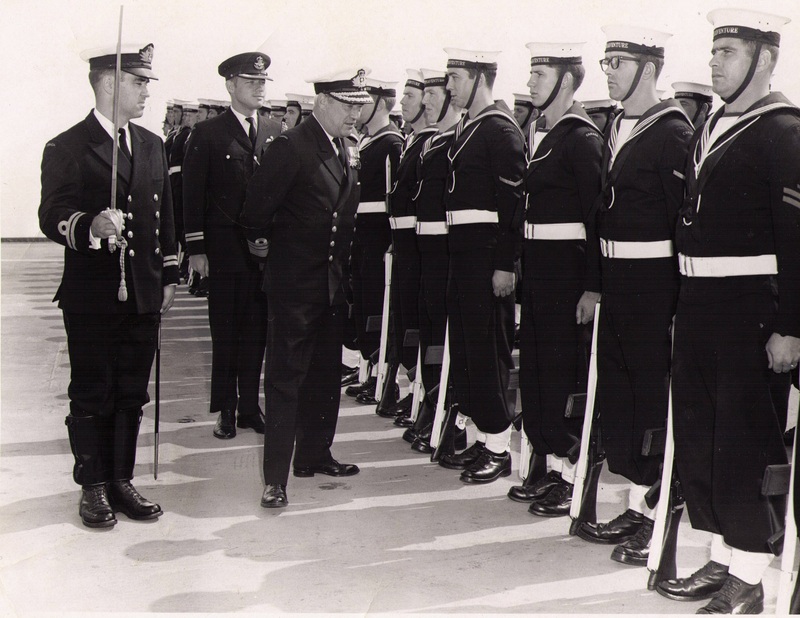 Ship's company of HMCS Bonaventure fallen in for the lowering White Ensign for the final time on 15 Feb 1965 in San Juan harbor. 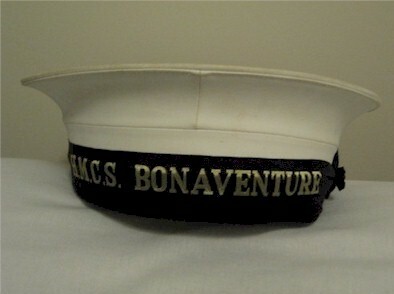 "Working the flight deck on the Bonnie"
Visit to 2 Mess on Bonaventure by "the pig of the port"
Navy Cap - This is a sailor's Cap identical to the one I wore during my service in the Royal Canadian Navy in the mid. 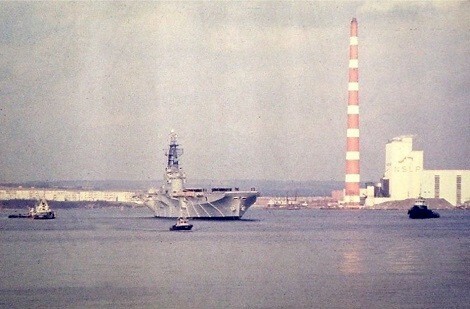 to late 1960's. 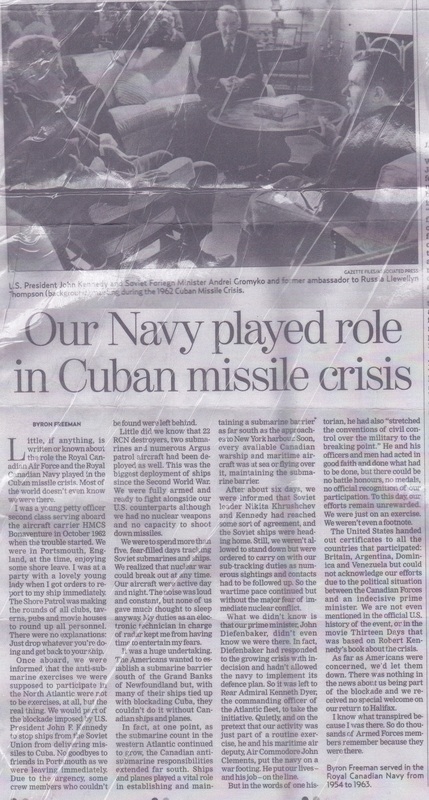 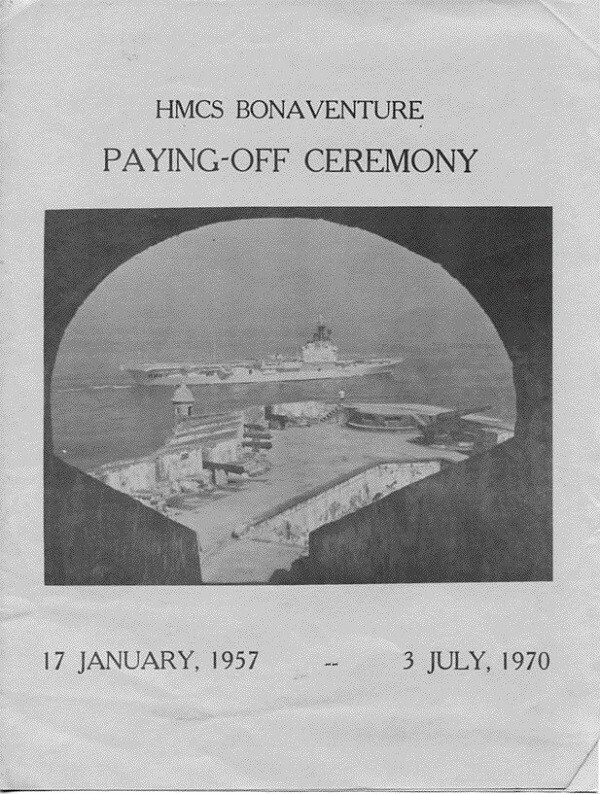 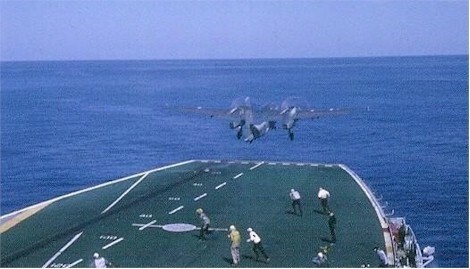 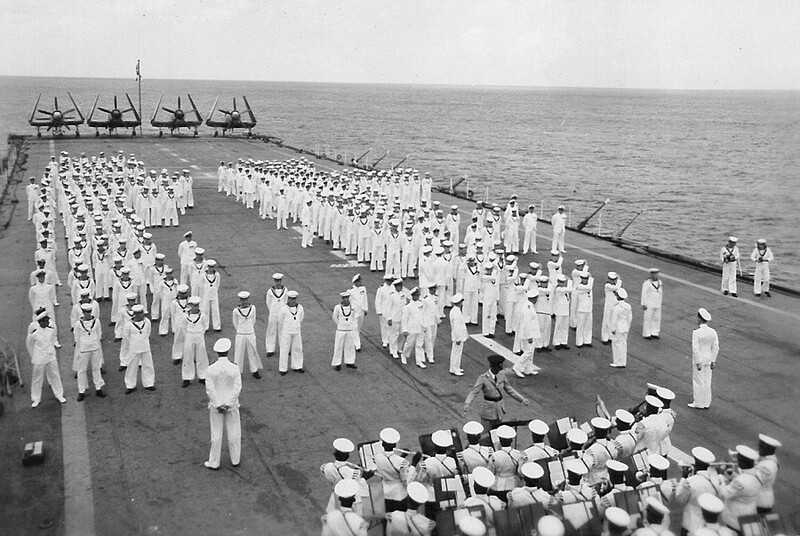 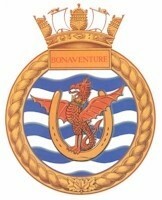 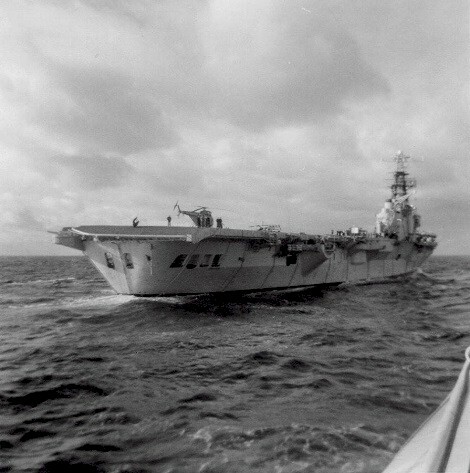 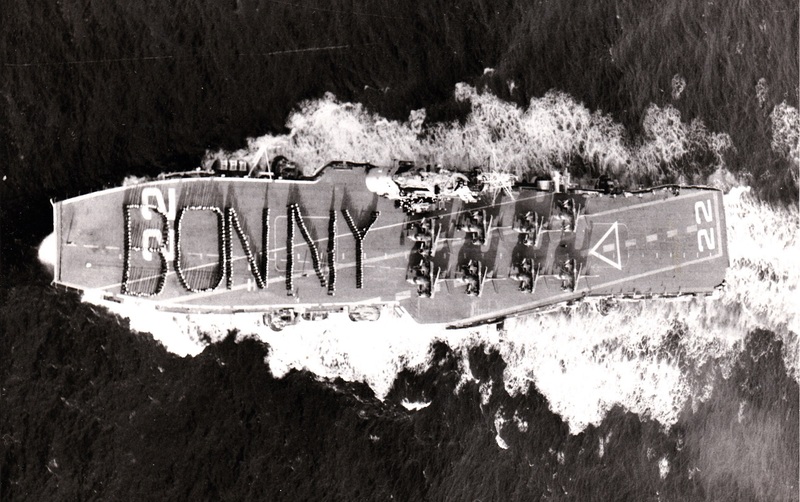 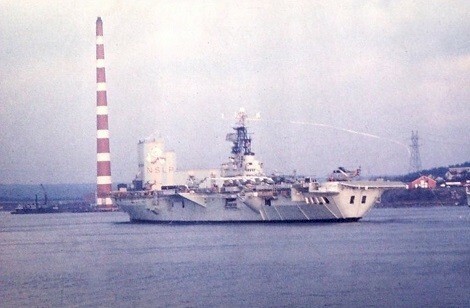 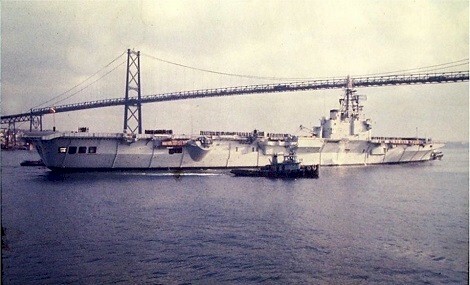 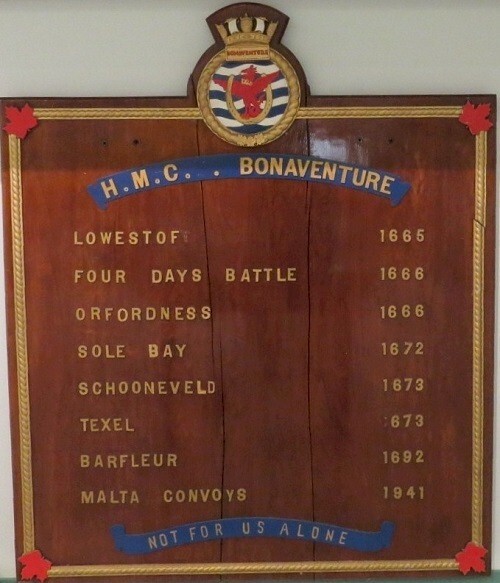 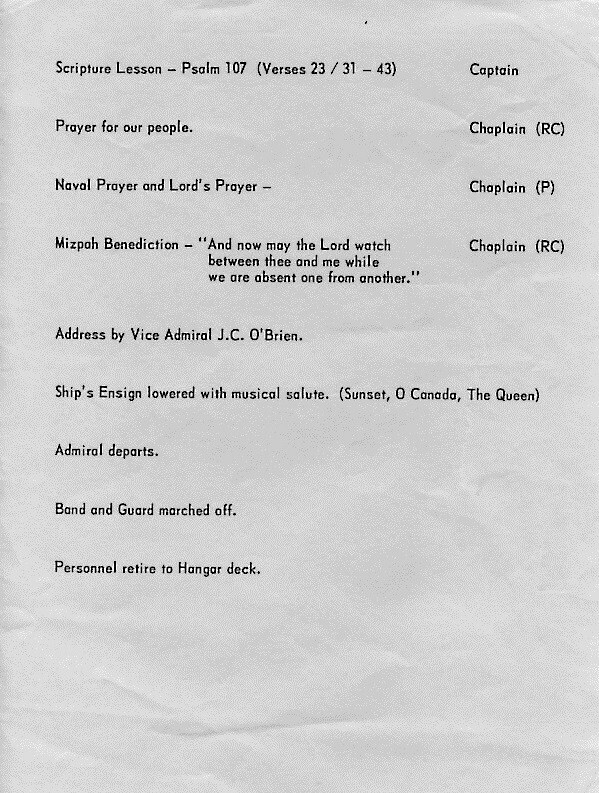 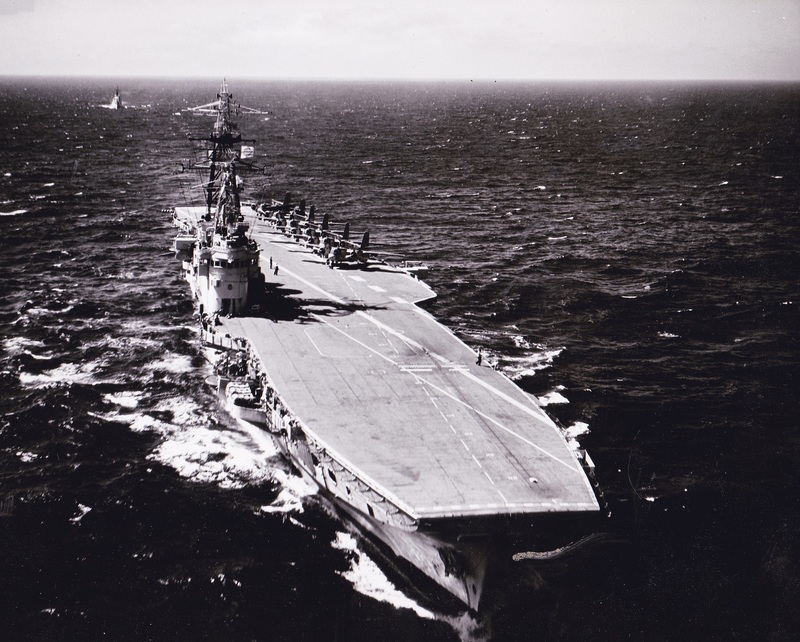 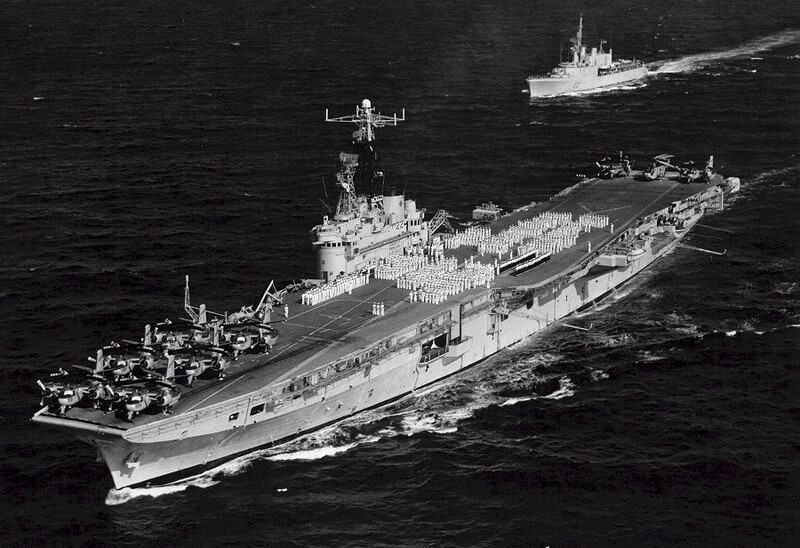 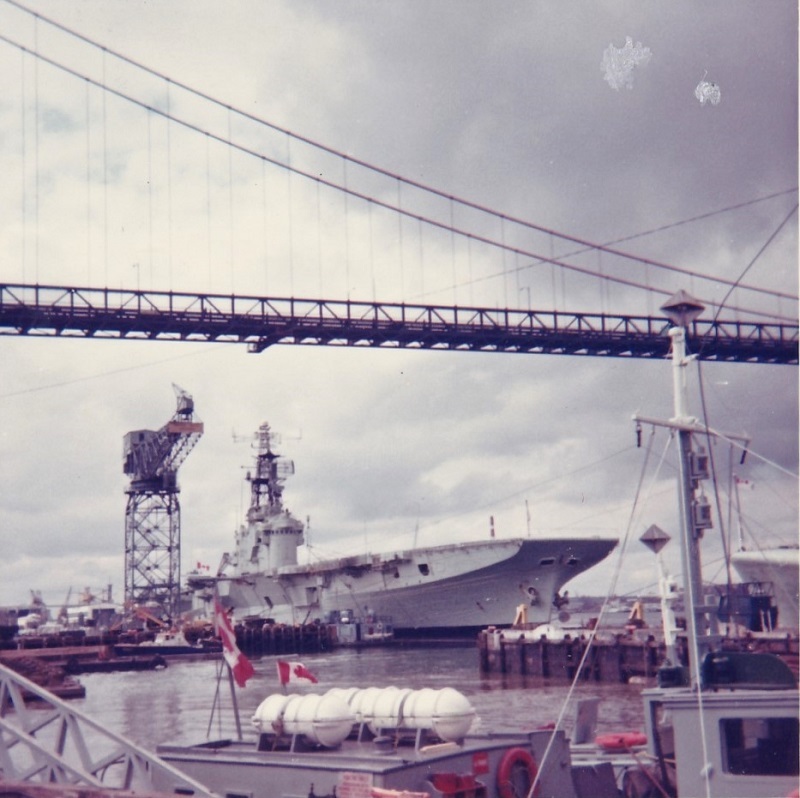 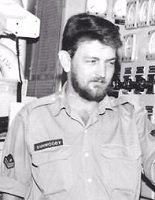 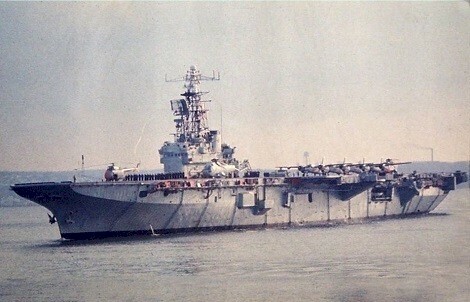 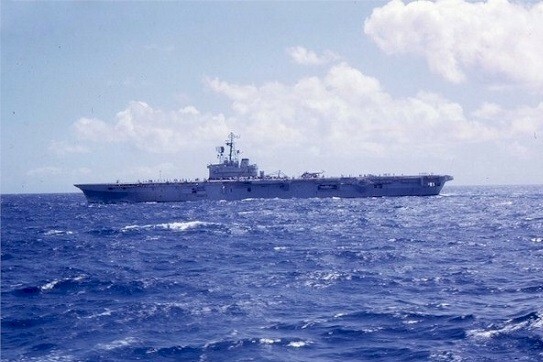 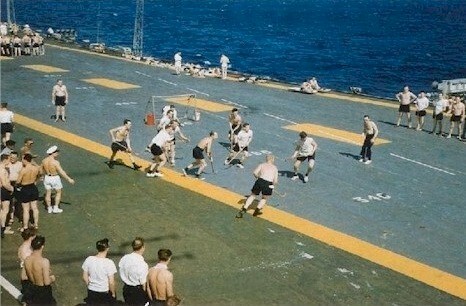 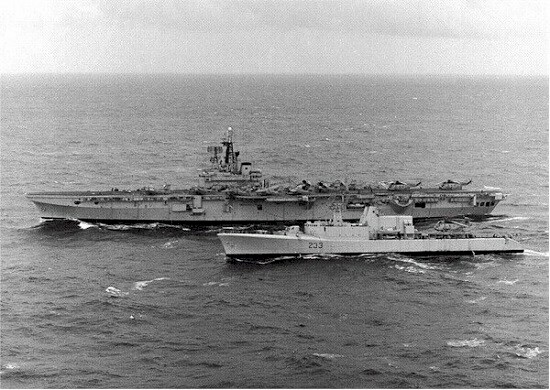 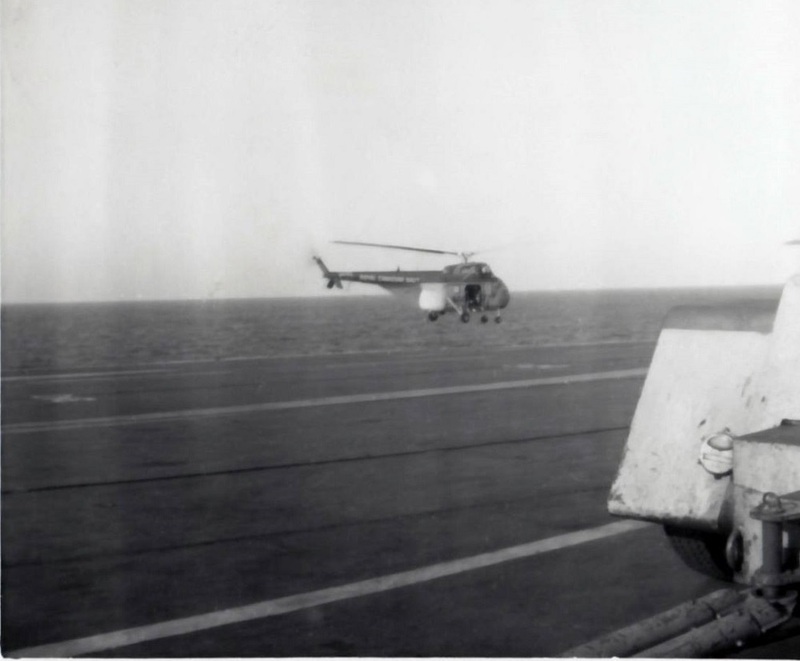 During a portion of this time, I served on the aircraft carrier HMCS Bonaventure. 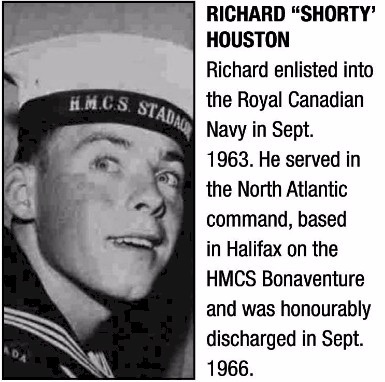 Credit: Photo by John Gorman, Halifax, N.S. 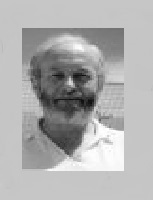 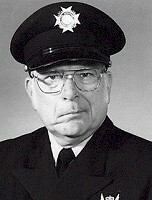 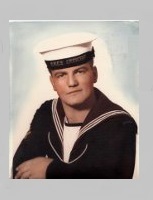 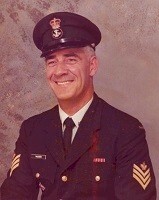 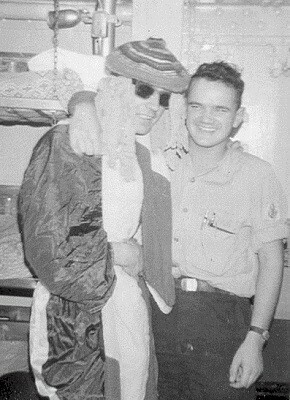 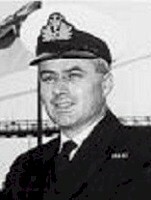 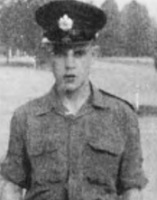 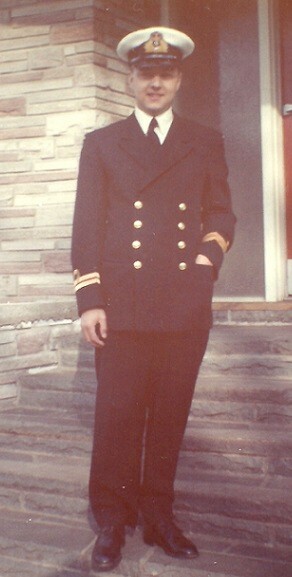 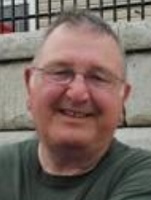 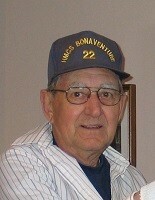 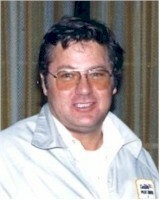 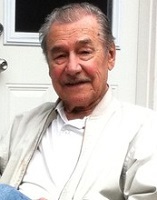 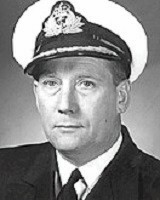 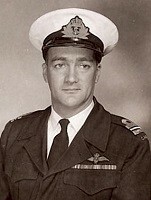 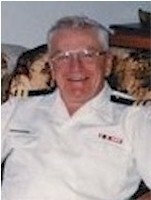 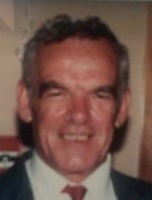 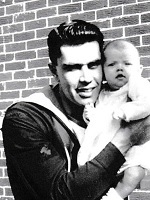 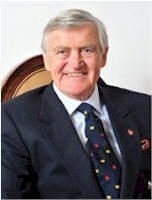 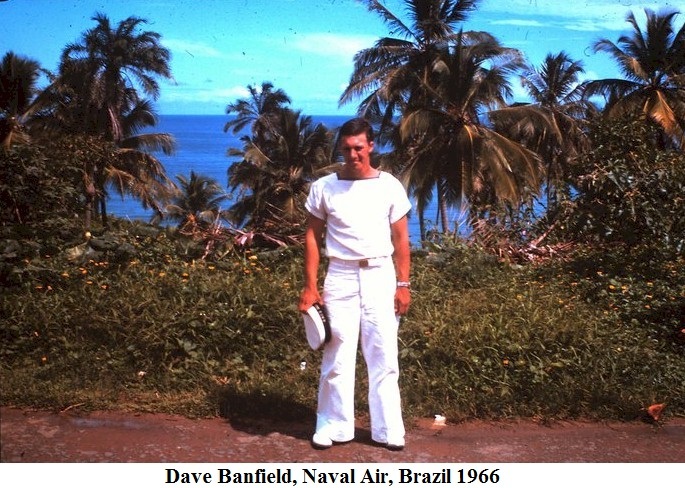 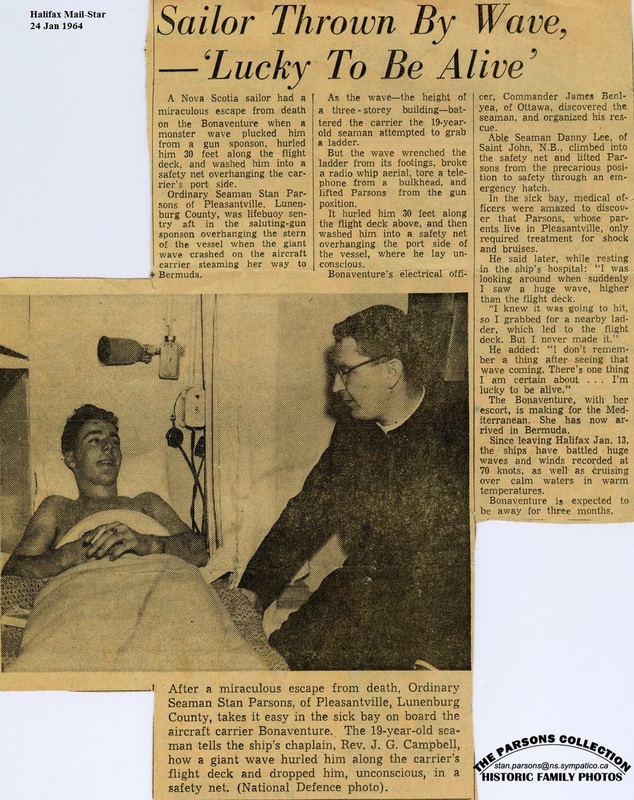 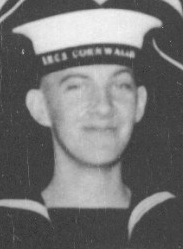 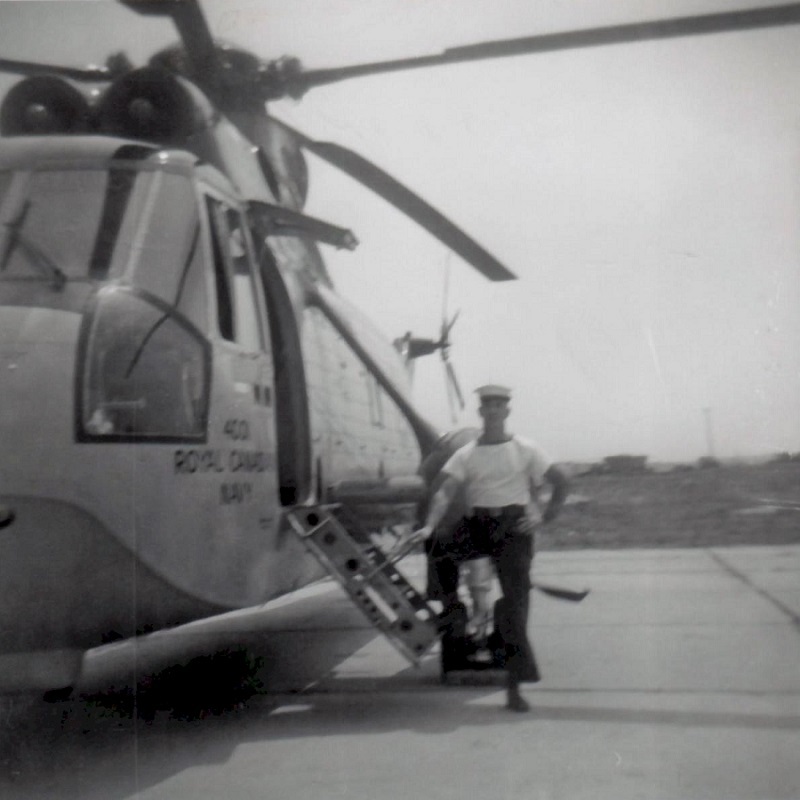 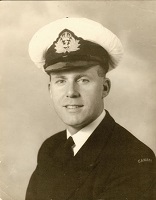 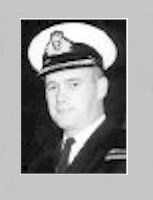 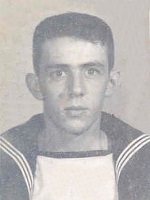 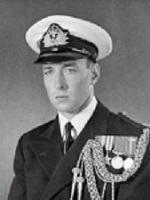 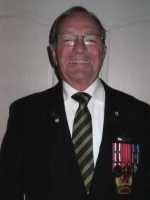 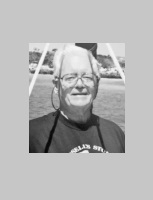 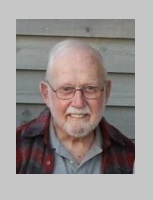 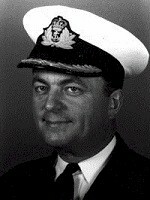 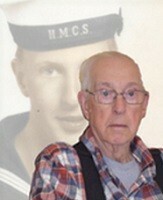 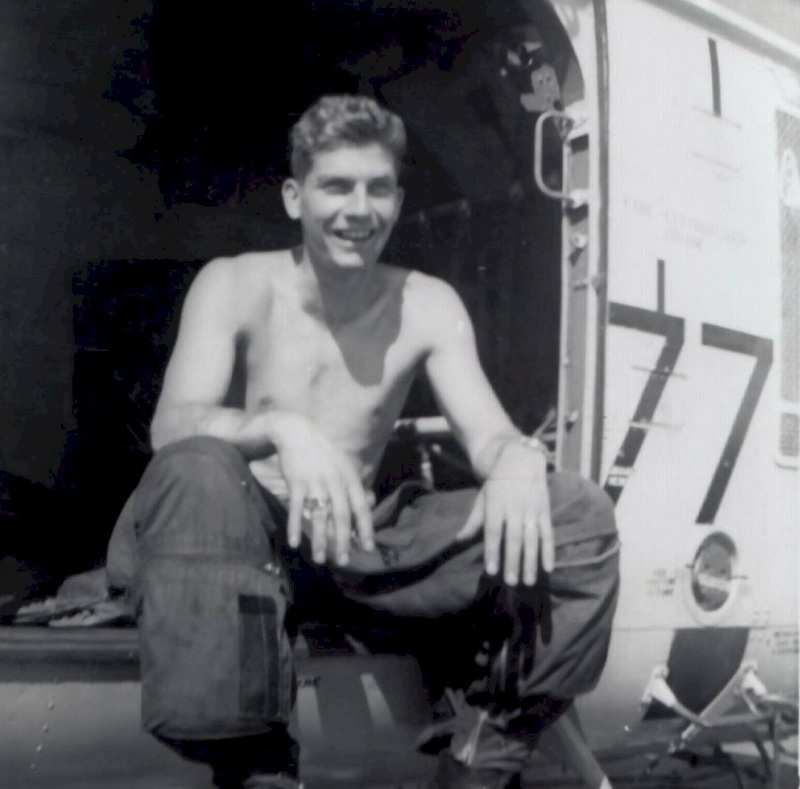 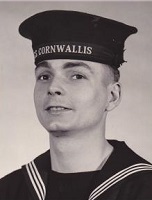 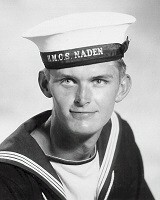 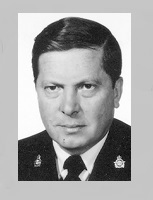 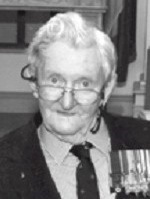 a former Naval Airman who served at HMCS Shearwater and on HMCS Bonaventure during the mid to late 1960’s. 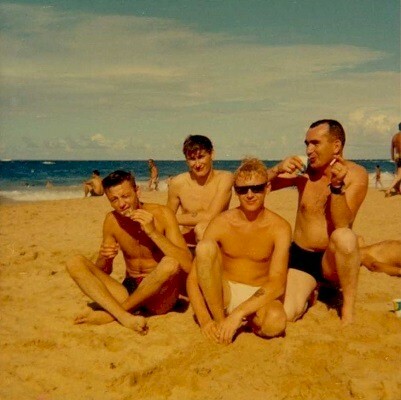 How the Bonnie cooks relaxed after long days at sea - on the beach in Trinidad (I think) 1969. 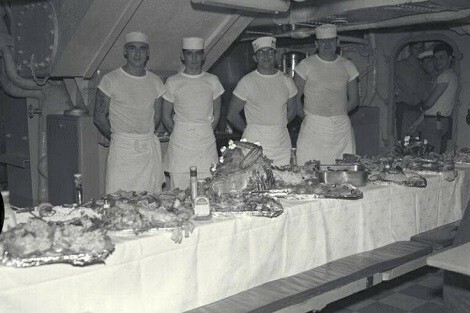 Paul Wheeler, Shaky Eddy, myself (Ronald Henry) and Earl Sweeny (first army cook to go to sea). 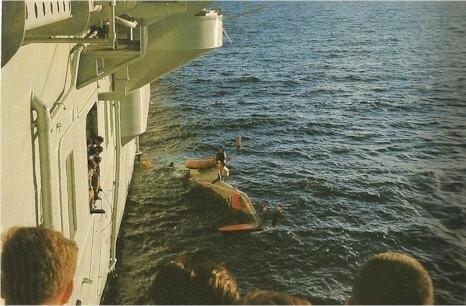 I see we are all having a wet or two: proud diplomats we are. 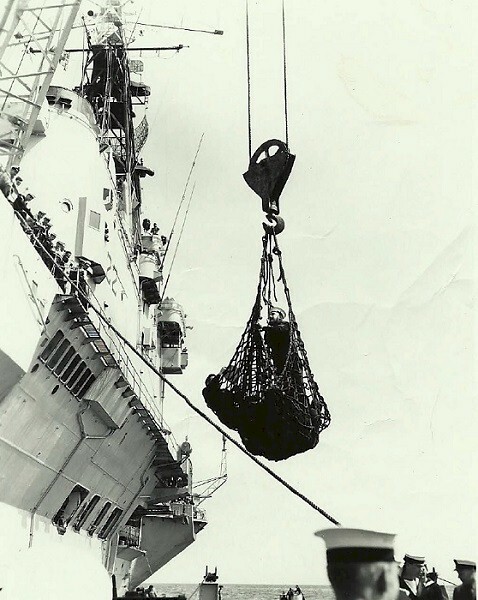 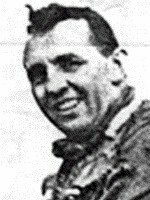 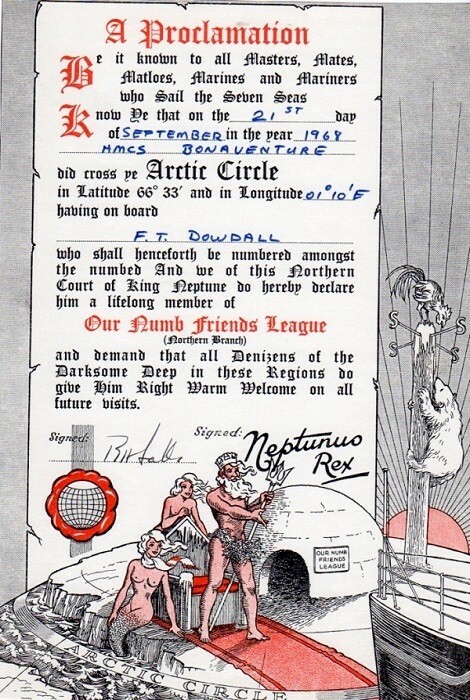 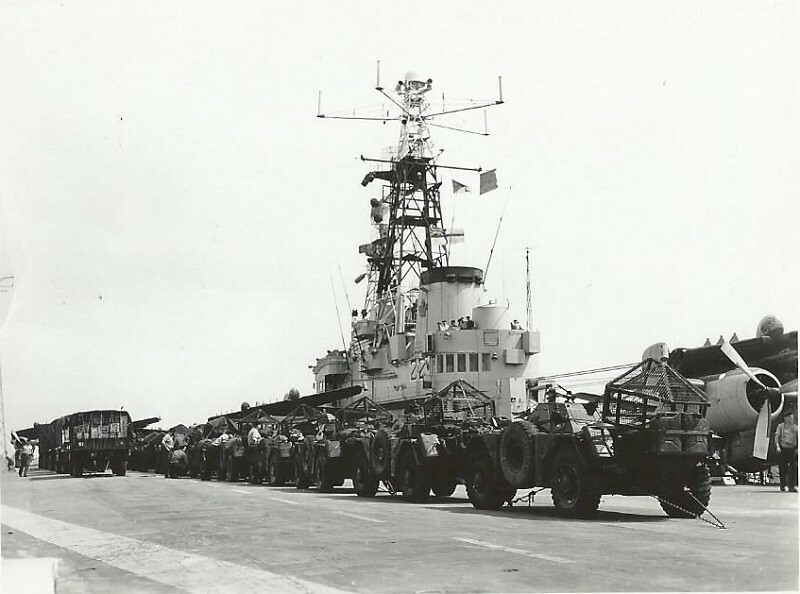 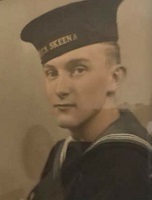 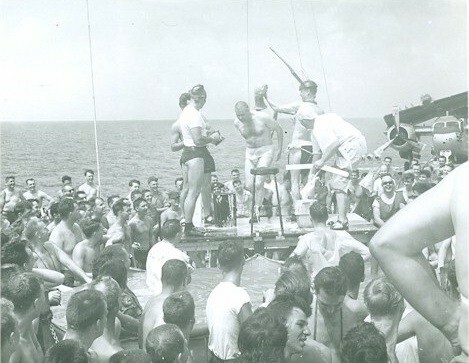 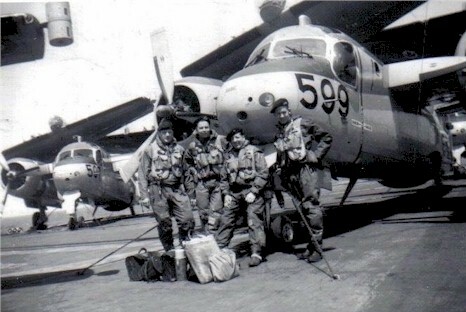 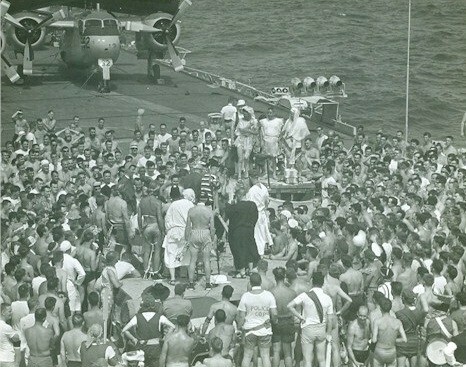 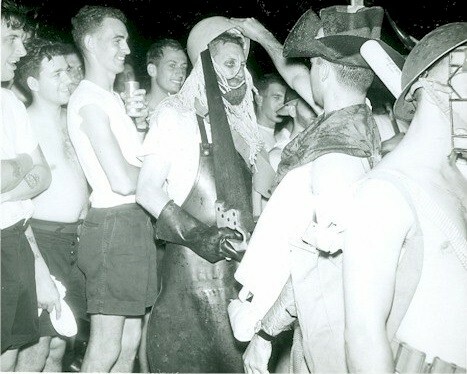 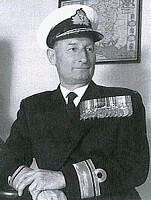 "We were in Cyprus anchored off and only had a few hours ashore split in two watches as the crew unloaded all the army gear .... the boys topped up big time and many could not climb back up the scramble nets so the Master at Arms ordered the cargo net lowered to the barge. 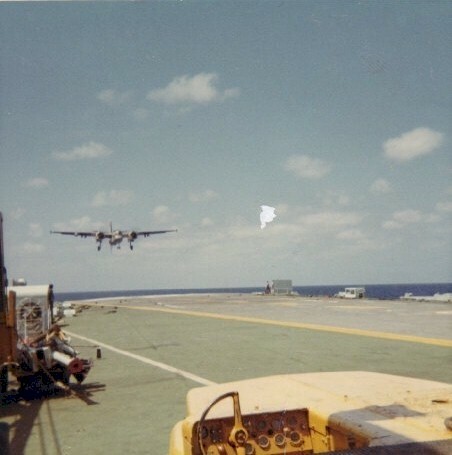 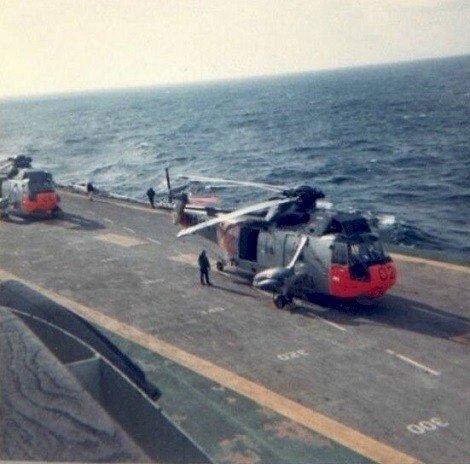 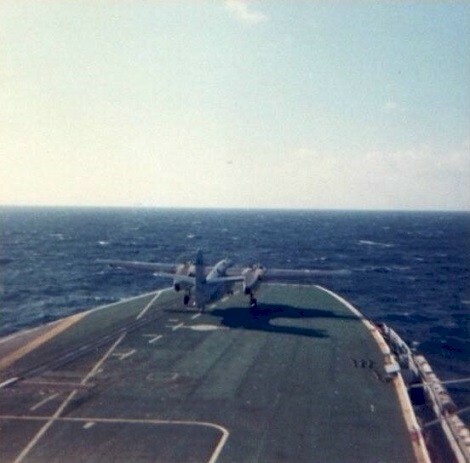 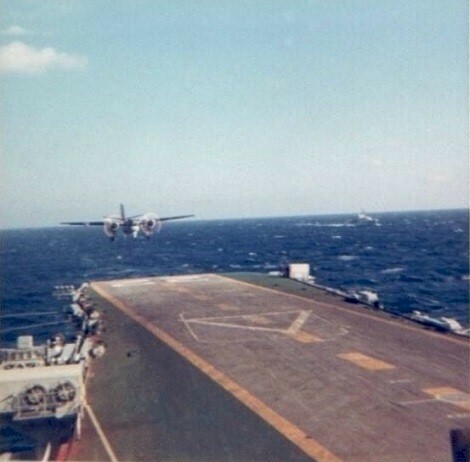 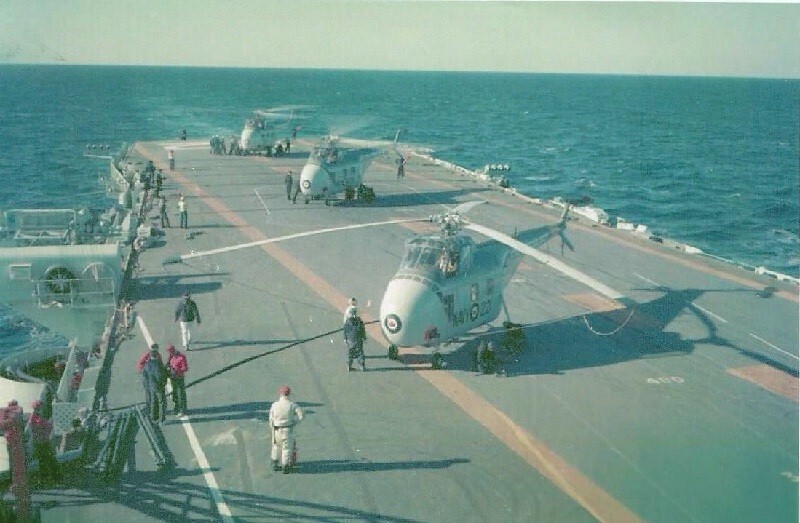 That is a P2VS you see in the net I once knew his name but it has long been forgotten ..... those were days"
This was the flight deck of the Bonaventure on way to Cyprus. 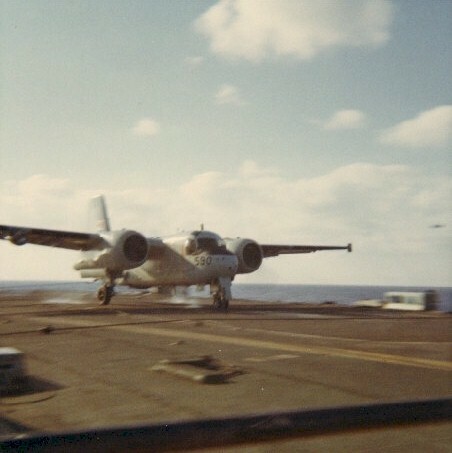 I worked arrestor gear so it was not too bad of a trip. 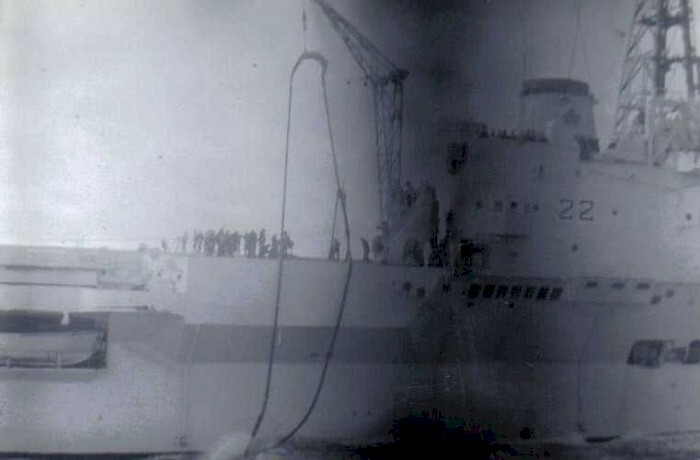 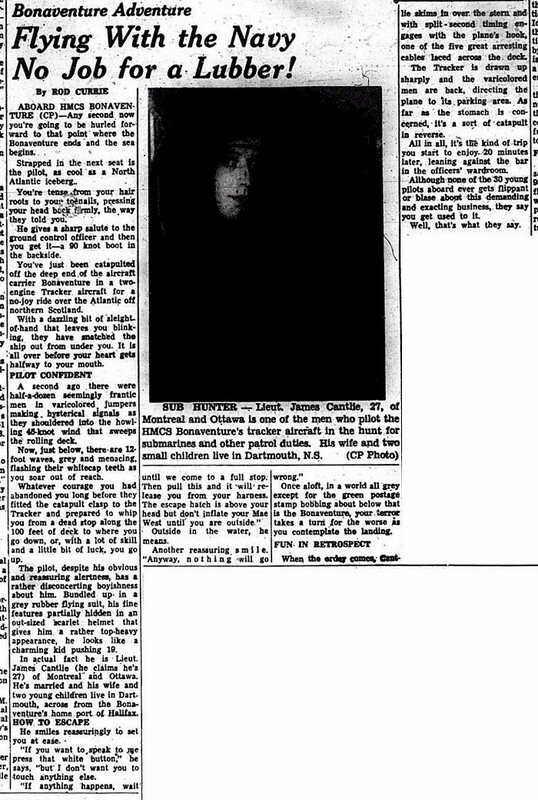 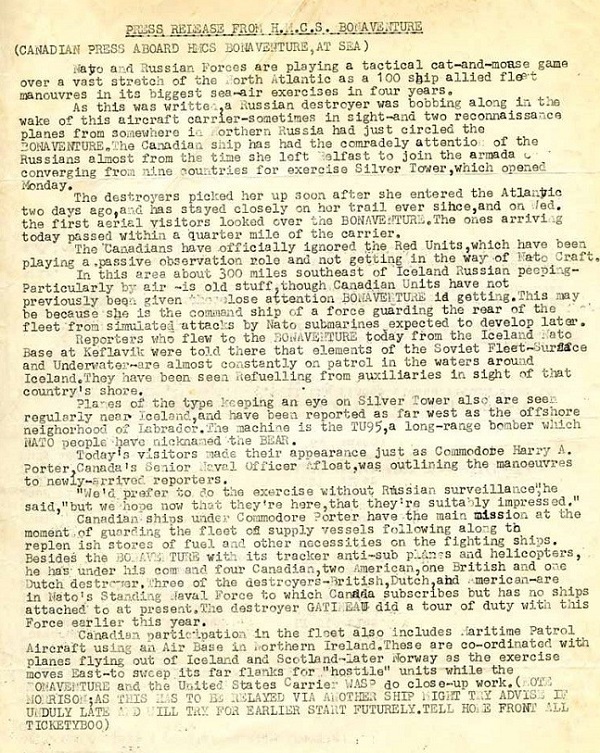 We even had a few Army stowaways who just wanted out of C.F.B Gagetown - they were found hiding in trucks, very seasick, and hungry. 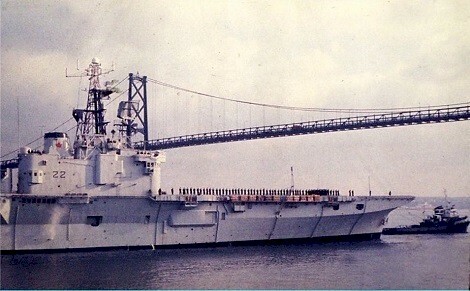 HMCS Bonaventure flies her decommissioning pennant as she passes under the Angus L MacDonald Bridge in Halifax harbour. 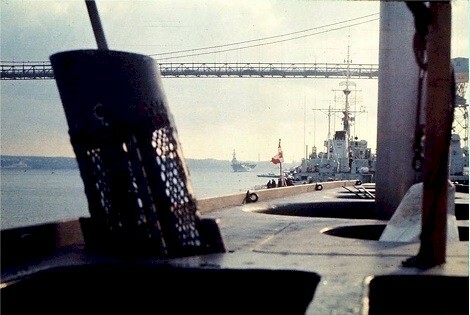 DND Photo. 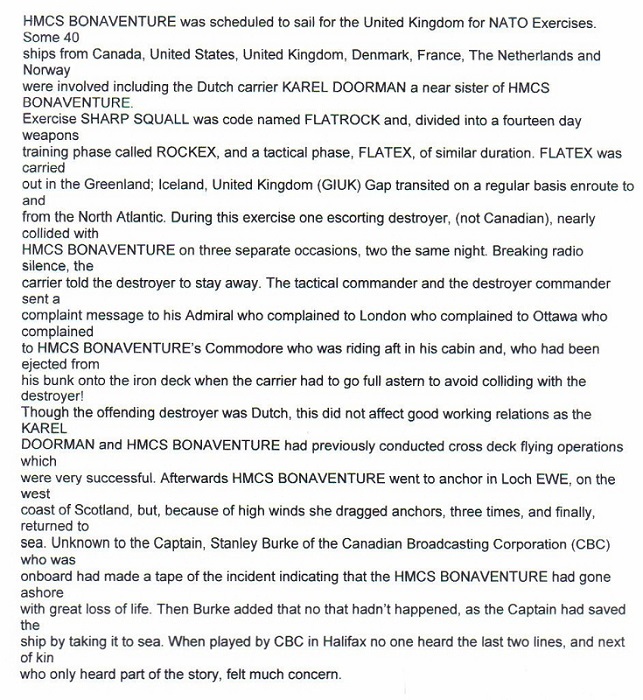 Courtesy Moe Beere.